One of the many options you have in designing your home’s flooring is carpet tiles and planks. You can arrange carpet tiles and planks of different textures and colors to form any pattern you desire. Learn more about how to install and choose carpet tiles for your house’s flooring needs. First, you need to know the basics of installing carpet tiles and plans on your floor. You will need your tiles, a tool to cut them with, adhesive like stickers or tape, measuring tape, chalk, and a framing square. 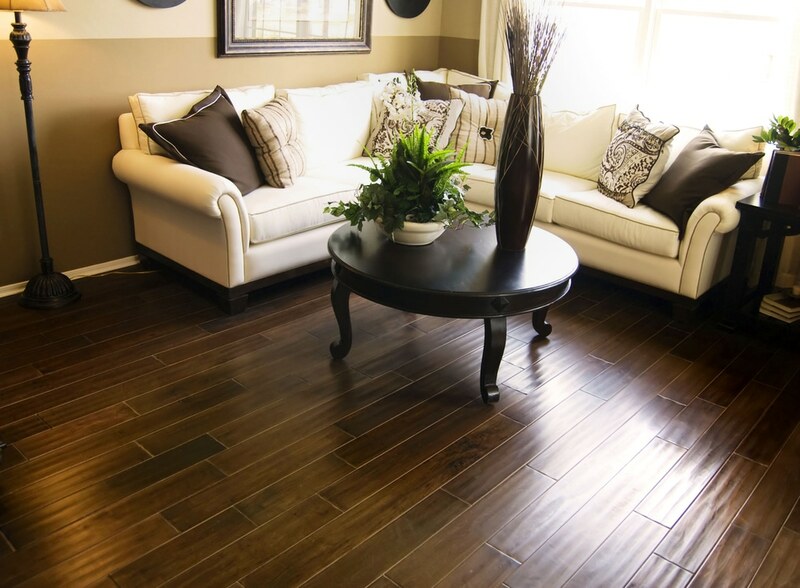 Make sure the floor is clean from debris and dirt, and let the tiles acclimate to the room first. Use measuring tape and chalk to mark the middle of the room. Trace lines across the room and use the framing square to ensure they are square. Use your first carpet tiles to plan a simple layout along the lines. Place double-sided tape or any adhesive on corners of tiles and lay them down. Continue to lay tiles and connect them to create the desired pattern. Trim along the walls if there is extra tile material. In order to take full advantage of the properties of carpet tiles, make sure you mix and match different colors and shapes to create your preferred pattern, whether making an area rug or complete carpeting. Remember to not just create a fitting pattern within the floor, but also something that complements the rest of the room, particularly in a larger rug or wall-to-wall carpeting. When it comes to choosing carpet tiles and planks for a specific room, you must consider the strength of the material and the wear from the foot traffic. In addition, keep in mind the material backing your carpet tiles, such as fiberglass, vinyl, recycled vinyl, and urethane, as well as how it will affect the floors. Backing in general keeps the floor stable and protects the material from moisture. Do you want to experiment with your own carpet tiles and planks? Koeckritz Rugs offers Peel and Stick Carpet Tile Planks, which are easy to install, clean and create your own pattern. Order yours today. In this current era, there is a greater emphasis in consumer customization, in everything from food orders to remodeling. Consumers want more products and experiences that they can call their own and take full ownership of. This trend is also extending to interior design. One of the biggest factors in the growing popularity of custom interior design is social media. Certain people, such as influencers, give eager viewers access to their lifestyles. Particularly, consumers see how expensive tastes and resources impact the decorations of rooms and interiors. The greater exposure to these luxurious lives through social media increases the desire for viewers to obtain their own furniture, decorations, carpeting, etc., and design their interiors to their own taste. Another factor in the rise of the customization trend is the convenience it provides. Consumers now want more options and easier access when purchasing items, even when they are buying rare sofas, statues, or rugs. The internet and other technological gadgets encourage the desire for increased convenience and comfort. New technologies continue to give consumers a more involved role in their interior design. For instance, new augmented reality (AR) technology allows consumers to choose from existing selections of wall and floor fixtures, covers, and arrange how everything ties together via simulation before they decide on a final purchase. Additionally, consumers may work with an e-designer to measure the aspects of a room and make decisions on what furniture, rugs, and other elements to purchase online. Both options increase choices for the consumer while also providing convenience and cost-efficiency. Any great interior design needs to have excellent flooring to tie the entire room together. Koeckritz Rugs features an extensive collection of custom area rugs to further increase your design choices, as well as pre-made rugs and luxury area rugs to combine with your chosen room design. Order the perfect rug for you today. 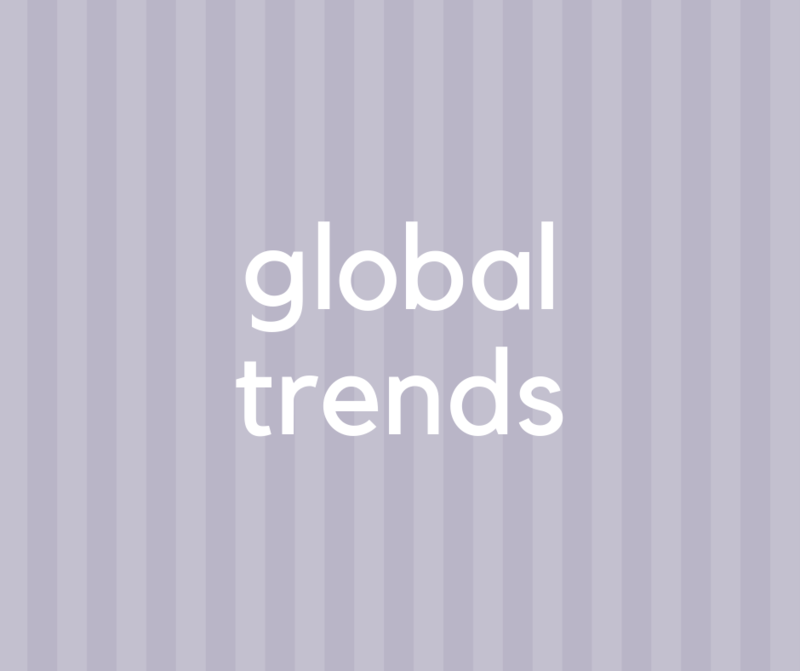 Analysts predict that the global market for carpets and rugs will continue to increase up to the year 2024. Different types of rugs and carpets will trend in several countries for their own specific reasons. One of the more interesting global trends is the rise in popularity of area rugs within the Asian continent. According to the projected numbers, the carpets and rugs global market will exceed US $41 billion by 2024, complementing the revival of the construction industry around most parts of the world. Specifically, Asia’s carpeted flooring shares 6% of the overall flooring market. However, the continent also has the fastest growing market at a CAGR of 5.1%. This number stems from Asia’s demand for area rugs, rather than carpet floors. In Asian countries such as China and India, area rugs hold a specific cultural significance. The people often see these rugs as harbingers of style, sophistication, and atmosphere inside a home. With their vibrant colors and mesmerizing patterns, they are associated with comfort and an amount of wealth. People use area rugs to decorate their bedrooms, living rooms, and offices. The latest market report attributes some possible growth factors to the rising demand of area rugs. Most of these factors involve the growing urbanization of Asian countries, as well as the rise of the middle-class population and overall improving living conditions. Due to the association of area rugs with taste and higher lifestyle, most people will demand such an upgrade. Despite large manufacturing and trading places like Mirzapur, India, and Beijing, China, the most popular area rugs are handmade, often created and sold by smaller dealers. Some of the more popular handmade rugs in those areas include braided, shag, and wool rugs. If you want to join the growing trend of area rugs, feel free to check out our luxury line and find the right rug for you. During the past few years, pale pastel colors such as flesh and millennial pink have been popular, but now have fallen out of favor. Vibrant, rich and strong jewel tones are gaining ground as trending decorating colors. If you want to join in on the fun, learn how jewel tones are being added in current interior spaces. Decorating with jewel tones can be as easy as adding some highly pigmented bauble-hued accessories or covering a whole room in a deeply saturated gem-inspired shade. With The Study, Sheila Bridges, an ever-talented Manhattan-based interior designer and author gave 7 tips for infusing any room with jewel tones. “Successful decorating with jewel tones has much to do with layering so that rooms don’t fall flat. Layers and varying textures always create interesting interiors. Experiment by layering one rug over another — say, a large sisal or sea grass one underneath a pretty hand-knotted silk jewel-toned area rug. I love layering rougher-hewn, natural elements with jewel tones. This rough-luxe contrast always prevents bold colors from looking too precious. 4. Use Black & White! “In awkward spaces that contain some sort of ugliness — a contractor-grade fire door, an electrical panel or a weird transom, like I have in the back pantry area of my apartment, shown above — making them disappear is a priority. In this space, I sought to draw the eye to something more interesting, my Van Doe wallpaper, which contains reinterpretations of iconic paintings (with deer heads) in a plethora of jewel tones on a deep black, or onyx, background. Black cabinets and moldings that match the wallpaper mask all of the other things I didn’t want to see. A darker shade of red that is bold, loud, and explosive, ruby red creates an atmosphere of passion and love in bedrooms. You can use it everywhere else in the house in small doses, such as kitchen accessories, to bring some life to monochrome or pale living rooms, kitchens, and dining rooms. Combine ruby red with blue for a fancy contrast. The serene, muted colors that accompany amethysts and garnets are associated with calm and beauty. If you want to evoke a relaxed, subtle feeling, pair them with colors such as white, silver, and deep blue. If you prefer vibrancy, combine them with green. Use purple and pink on accessories such as shutters, throws, and cushions to emit cozy feelings. Topaz and amber yellows create an overwhelming feeling of warmness and emotional balance to any types of room they are in. Yellow is perfect to evoke gold when used in metal furniture or accessories. Alternatively, you can combine these yellows with any type of blue for a modern contrast between cool and warm colors. Sapphire blues and emerald greens are sophisticated and cool. Blues will seriously cool down any room and need yellow or even green accessories to bring some balance. Emerald greens have a slight warmth to them, and when they match with gold accessories, they become downright regal. Blues and greens are the most ideal combination. 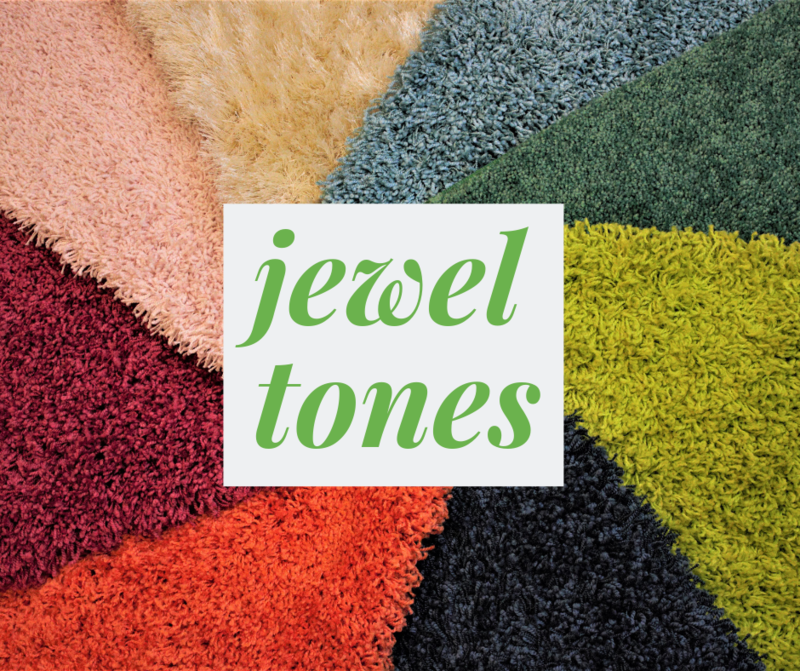 Looking for the right jewel tones area rug? Koeckritz Rugs has the perfect area rug collections for your decoration needs, such as the Milliken Charthouse Pattern and the Tuftex Europa Moroccan Lantern Pattern. You can customize these rugs to your liking, just search “jewel tones” to find more options for these fashion forward hues your project. During the past few years, pale pastel colors such as flesh and millennial pink have been popular, but now have fallen out of favor. Vibrant, rich and strong jewel tones are gaining ground as trending decorating colors. If you want to join in on the fun, learn how to decorate your home space with each color. Ready to decorate your home with fashionable jewel tones? Koeckritz Rugs has the perfect area rug collections for your decoration needs, such as the Milliken Charthouse Pattern and the Tuftex Europa Moroccan Lantern Pattern. You can customize these rugs to your liking, and they come in a variety of colors complementary to any of the jewel tones. As a busy college student, you might spend a lot of time in the library, the dining hall, the student center, or the quad, but your dorm room is always your home base. It’s where you go to unwind, relax, and feel totally comfortable. That’s why your dorm decor is essential. You want to create a space that is entirely yours, but maybe you don’t know where to start. For a little inspiration, take a look at these three top dorm decor trends of 2019. Studies show that houseplants can improve concentration and boost productivity by up to 15%, lower stress levels, and enhance your mood. Indoor greenery is a wildly popular trend in 2019, but you’re a busy college student; you don’t have time for an amateur botany project. Rather than struggle to tend to real live plants, go with a smattering of fake flowers, grasses, and succulents. Hang them from the ceiling, tack them to your walls, pot them on your desk or windowsill. No watering, no light requirements, just plenty of “natural” beauty. The year 2019 is all about mixing and matching textures. Fan favorites include velvet, shag, Mongolian faux fur, and outrageously thick yarns. Toss in some eclectic throw pillows and blankets and add contrast with a unique luxury rug. Custom made area rugs are only limited by your imagination. Your dorm room may not be a standard size or a perfect square, so not all dorm rugs will fit just right. Ideally, the edges of a rug should land 12 to 14 inches from the walls; you can ensure this is the case when you order a custom dorm rug in a fun fabric and texture. Your typical dorm room is furnished with a basic wood or metal desk chair and a twin bed. That’s about all you get in terms of seating. But maybe you’re looking for something a little comfier, or maybe you enjoy entertaining guests. You could buy a couple more standard chairs or you could go with something a little more aesthetically pleasing. Poufs are a hot item in 2019; this large, solid cushion can be easily moved around the room and offers a comfy seat for dorm room guests. Alternatively, you might prefer a more practical option — chests and hollow ottomans provide storage and seating all in one. Your dorm room may be small in size, but that doesn’t mean it can’t have a big personality. This year’s trends are both inexpensive and playful, which is ideal for a college student like yourself. Have some fun with faux plants, textured dorm rugs, and seating of many shapes and sizes. When you think of shag carpets, you often picture disco lights, colorful outfits, and tacky furniture. But the allure of a shag carpet speaks volumes on its own; in fact, this retro carpet option is making a stylish comeback in 2019 (no disco balls included). If you’re one of the many people who is considering the purchase of a shag rug, read on to learn more about the perks and pitfalls of shag carpets. They’re eclectic: Did you know nearly 13% of homeowners claim their home is eclectic? Lay down a shag rug to improve the look of your current decor or rely on this funky feature to speak volumes in an otherwise muted space. Their visual appeal in a room is unrivaled by other custom made area rugs. They’re comfortable: There’s no better feeling than sinking your toes into a plush shag carpet in the morning. If your family likes to play games or watch movies on the floor, this also provides a comfortable setting for family gatherings. 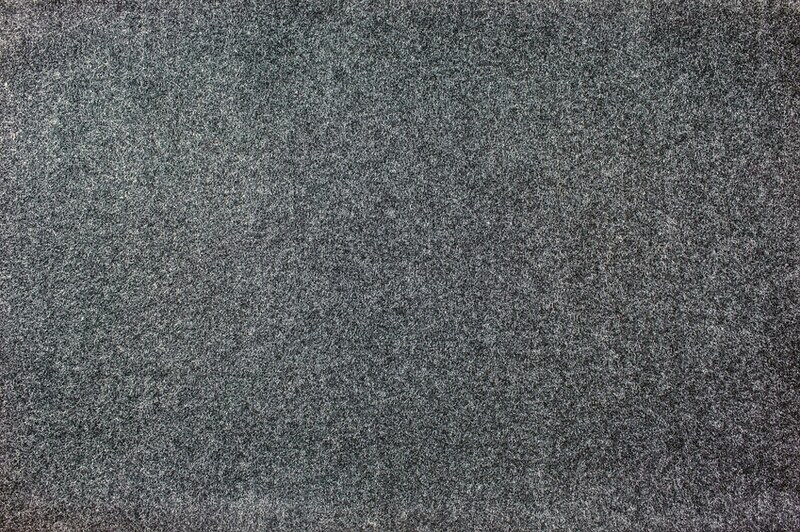 Consider installing a shag carpet if you have young children who are prone to falls. No ugly seams: A shag carpet offers a lot in terms of visual appeal. After all, it brightens up and adds tons of character to a space. Luckily, shag carpets also hide unsightly seams and threads present in the carpeting. This creates a luxe look for anyone who walks through the door. They’re not as durable as other area rugs: Shag carpets are built for comfort. As such, they don’t do as well in high-traffic areas since the fabric doesn’t bounce back as easily as other custom cut rugs. They can unravel: Because you cannot see the seams of your shag carpet, you won’t know the material is unraveling until it’s too late. Take care to perform regular maintenance when vacuuming and cleaning. Shag rugs are a great addition to any home, but placement is key. Shag rugs do best in bedrooms and offices where high foot traffic doesn’t wear down the fibers. When you’re considering a custom rug for your home, contact the experienced professionals at Koeckritz Rugs today. The last decade has seen homeowners switch from carpet flooring to harder alternatives, such as hardwood, tile and Luxury Vinyl Tiles or Planks. Even then, they still want to use some carpet floor coverings to decorate their bare floors. Area rugs are the ideal choice to create balance, but to compensate for the lack of warmth carpets provide, homeowners demand for increased texture and pattern in their rugs. The only notable drawback of hardwood floors is the added expense of their use over carpeting floors. Also, hardwood is not popular in certain rooms, like the kitchen or the bathroom, where homeowners preferred tile floors or other materials instead. Another one of the biggest advantages of hardwood floors and harder floors in general is versatility. Carpet floors are mostly uniform and do not have extravagant patterns that some homeowners seek. Even if you find a pattern, you will have to cover the rest of the house with it as well. A hard, bare floor allows the consumers the freedom to choose. They can choose to embrace the appeal of the bareness. They can also choose from a diversity of area rugs. The use of area rugs alone also brings some advantages over carpeted flooring. Mainly, area rugs allow endless possibilities for satisfying the desire of consumer choice, from using rugs as striking focal points, to match them with different patterns, textures, and colors from other rugs or home decorations, and to simply to fade in the background with no specific pattern. Also, manufacturers create most area rugs with non-cling, environmentally friendly materials that are easy to transport and clean compared to carpeting. They carry less allergens and are open to pet use. Once you are ready to find the perfect area rug for your hard floors, check out Koeckritz Rugs’ gallery of luxury area rugs for perfect choice for you home. The gallery has different levels of depth, and many patterns and textures, depending on your preference. Keeping rugs clean is important for maintaining a neat and healthy home. And, if you have custom rugs, your floors definitely deserve some special treatment. You probably already follow a vacuuming routine to help keep your area rugs dirtless and hair-free. However, for specialty custom rugs or shag carpets, vacuuming alone might be ineffective. Without careful cleaning habits, your rug simply won’t last as long or look as good. If you’re looking for ways to keep your rugs spectacularly clean and in good condition, read on. Here are four secrets from the pros for keeping all kinds of rugs and carpets spotless and soft. Blot Away Stains, But Never Scrub Them! Just as you wouldn’t scrub a stain on a shirt, avoid rubbing stains deeper into a carpet. Instead, try to use gentle blotting or pressing motions to lift liquid staining materials from a carpet. Blot with a clean white cloth so that you can more easily see when the discoloration is no longer present on the carpet’s surface. The pros all know that different spills and stains require different removal agents. For example, fatty stains from butter or oil might be best treated with dish soap. Wax drippings from candles can be melted off with a blow dryer and a cloth, while entangled, sticky candy is best lifted by prying with a butter knife and then rinsing with water. Proper care for custom rugs goes beyond stain removal. To ensure your luxury rug is well cared for, consider deep cleaning it every now and then with a steam treatment. Steam cleaners inject moisture deep in the carpet’s fibers to help loosen debris, then extract the hot water and dirt, leaving your carpets fresher than ever before. Finally, when vacuuming custom rugs or shag carpets, avoid using a vacuum with a beater bar attachment. This device whacks the fibers at a high speed to shake dust and hair loose, but on finer carpets, it can cause too much damage. The suction of a vacuum without the beater bar will sufficiently clean the fibers without wearing the rug prematurely. According to a HomeGoods survey, only about one in five Americans (20%) feel happy with their home decor. Fall back in love with your rugs by giving them the deep clean they deserve. With these maintenance tips, your custom made rugs and carpets will stay fresh and look new for years to come. For more information, give us a call at Koeckritz Rugs today! We get many unique requests from potential customers inquiring about our custom cutting rugs for special shapes, sizes, color, texture and material guidance. With several options available, it may be difficult to locate exactly what you are looking for (especially if a project is just as unique as this one). I wanted to share the following unique customer experience with you because it’s just one of the ways it makes our team at Koeckritz Rugs special. Not too long ago, designer Ouida contacted us with a special request. Her client recently had her home repaired from a recent fire. Fortunately the homeowner, Mrs. Clark, was uninjured.. Unfortunately her space which she came to love was mostly destroyed by smoke and fire. Mrs. Clark’s home was formerly designed and decked out in a 1970’s southern country style with teal, rose and green, blue and gold floral wallpapers and custom drapes. The task at hand was to recreate what the fire had destroyed. The designer had the task to recreate the 70’s styled home as close to the original as possible. Within the space, she needed floor coverings to tie into the color scheme. Being in a small southern town, the local carpet and rug stores just did not have best complement of products to give the original design justice. So the designer contacted the experts at Koeckritz Rugs. Shopping online for a rug can be difficult… trying to match color on a computer screen or smartphone can be a bit of a challenge to say the least. The designer sent us fabric swatches to help us find a color and texture that would work in the space. We were able to find a few options that met the criteria of the look they needed and sent rug samples for approval. Sure enough, these were some options that would work within the space, budget and time frame! Within just three weeks, the rugs were custom cut, bound, and delivered to the client’s home. The best part of this experience was to be able to find something that would work for this special project. Every project has its challenges, this one.. to find the right shade of Green, Rose and Teal for the 1970’s inspired space! It is always a great feeling to be able to solve some of our client’s most difficult tasks or projects. It all makes it worthwhile for what we do. Interior decor is the spirit of your home’s aesthetic. When people come in, it’s the subtle pieces of comfort that bolster a welcoming atmosphere. These are the pieces you have control over. One doesn’t change a room to fit decoration but uses decoration to transform a room. Carpeting has gotten a bad reputation in recent years. Fairly so, too. The carpeting crimes committed against hardwoods are nearly unspeakable. However, custom rugs have a high place in interior decor and can fashionably bring a room together. We’re not talking wall-to-wall carpeting, but well-intentioned, better-designed custom rugs cut precisely for your space. Here’s why you should have them. Custom made rugs are remarkably comparable to high-end fashion. Yes, you can buy most things off the rack at any boutique, but the rack only holds a few options versus the variety of a whole swatch book. Custom rugs give you a world of variety to choose from so you’re not limiting your own decorative options. Ideally, a rug’s edges should be 12 to 14 inches from a room’s perimeter. That’s all well and good, but any odd area rug isn’t going to be a perfect fit for the dimension of every room and floorplan out there. Custom rugs put the power back in your hands by providing a bespoke decorative piece to any room measurement you may require. Homes are carefully built and we aren’t changing rooms to fit rugs, so why not custom cut rugs to fit rooms? It’s no secret that our personal decorative tastes change over time. With custom rugs, nothing is keeping you from having a few different ones made. Different styles, colors, texture, try out something wild. You’re already having custom rugs cut to fit your own room dimensions, so live a little. Get a safe style. Make a statement piece. Who knows, if you get a few different ones, you could shake up the creative inspiration for other interior decor projects. You are the queens and kings of your abode. Each room has its own respective decorative crown and, for some, custom-made rugs are exactly what those rooms need to sparkle with a touch of royalty. Winter is fully upon us. While 48% of homeowners planned to decorate their homes in 2018, there are many of us that need that decor to be practical as well. Nothing beats the dynamic duo of beauty and practicality. Area rugs are perfect examples of that dynamic duo and as winter winds get stronger and snows get deeper, you’ll wish you had some draped around your house. Whether you’re thinking of custom rugs, outdoor rugs, or those braided rugs your aunt was so fond of, winter calls for a few places that rugs are extremely convenient. The perfect place to have an outdoor rug is the entrance from your garage to your home. Tramping snowy, slushy, salty boots into your house isn’t ideal. Having a place to remove those boots outdoors without having to tread on the bare garage floor will save your entrance way. Of course, having a rug there will also help deter the risk of slipping from a wet or frozen garage floor surface. Tis’ the season for entertaining, so set up your entryway as such. Wherever people enter your house the most should have a sturdy, spacious rug in the entrance. Shoes come off and are left there, saving that entryway from becoming a slippery, muddy, disaster zone as a first impression. Make sure the rug is big enough to let people inside so they aren’t standing in the doorway trying to get their boots off on a rug that’s too small. Our furry friends still need to go outside to do their business in the winter. While the summer doesn’t cause us much need to wipe paws, the winter is a whole different animal. 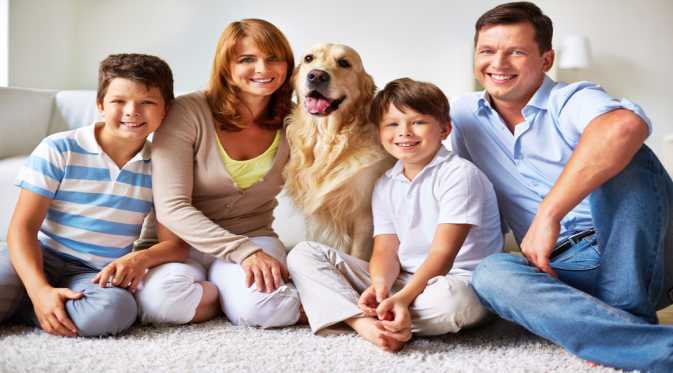 Wherever your pet exits and enters your home after they finish their business should have an area rug. This way your excited doggo won’t be trouncing around dirty paw prints while you struggle to wipe those wet paws off. You know how people and pets are entering and exiting your home this winter. Put some area rugs in the appropriate places and you’ll find yourself doing a whole lot less floor cleaning than you would’ve without them. Winter in Illinois, and indeed most of the northern and northeastern parts of the country, tends to be cold and wet, making the need for a good mudroom rug all the more dire. You certainly don’t want to be dragging slush, mud, and snow into your cozy home, so a properly designed and placed custom rug at your front door is the only way to staunch its endless flow. Picking the right indoor/outdoor rug relies as much on your own personal needs as the material itself, so the following aspects should be considered before you grab your wallet. How much use is it going to get? This depends on the size of your household and how active its members are. If you live alone and only leave for work or errands, you probably won’t need a hyper-durable indoor/outdoor custom cut rug; you’ll be able to get by with a simple braided rug, or cotton rug for extremely basic purposes. However, if you’ve got three kids and two dogs — all of which are very active — you may want to opt for custom rugs that can withstand the nonstop abuse. Do you care more about design or practicality? There are limitless options when it comes to carpeting, and even more when you’re considering custom made rugs. If your main goal is simply to stop mud and cold, dirty water from making its way deeper into your home, then just about anything will do. If you’re much more design savvy and care about creating an entrance that meshes well with the rest of your home, you’ll want to put more thought into it. Over a third of respondents in an interior design trends survey stated their interest in a neutral color palette, so that may be a great place to begin. While your mudroom is mainly a place for guests and family members to shed their winter garments before stepping over the threshold and into the home, it is still a part of the house. Your personal interests and desires are the main things you should consider when purchasing a custom rug of any kind, so don’t skimp or settle for less at the very entrance to your home. Decorating your home can make it feel like it’s truly yours. But with a HomeGoods survey showing that only 20% of Americans feel happy with their current home decor, updating decor is sometimes necessary. One easy way to bring some new life to a room is by adding an area rug. So if you’re looking for a simple way to add some depth to a room, here are a few tips to help you choose the right rug. One of the biggest mistakes homeowners make when it comes to choosing rugs is choosing the wrong size. Choosing the right size is especially important when you plan on putting a table over the area rug. For the best rug under a table, you should choose a rug that’s about two feet larger than the table on each side. And if you’re simply adding a luxury rug to a bedroom or office, it’s important to not choose one that is too small, as this will make the room look smaller. Going with custom rugs is a great option because custom size area rugs will be cut to the exact size you need. When you’re decorating a room, it can be a good idea to actually start with a rug. While many homeowners often choose a rug last, this can lead to clashing colors and patterns, especially if the rug comes and isn’t what was expected. By choosing the rug first, you can base the room off of the rug, which is the focal point. You can then match other room details like throw pillows, curtains, and other decor to the rug and that will help pull the entire room together. And lastly, it’s important to not be afraid to go bold with your rug. If you have a room that is mainly neutral colors and patterns, choosing a bold custom rug can add a pop of color to the room. If you choose a rug that is the same color as the rest of the room, the room will look very bland and flat. By adding in different colors and patterns, you can have some good contrast while still bringing the room together. A bright, bold rug can be just what your room needs. With the right rug, a room can feel like an entirely new space. So keep these tips in mind and look for custom rugs to ensure you find the right rug for your home. Rugs are fantastic décor additions to any room in the home – including the kitchen. There’s no reason not to add a rug to your kitchen, and plenty of reasons to do so. A rug in the kitchen can complement your spaces’s design, make slippery floors safer, and provide joint relief when standing for long periods of time while cooking or doing dishes. Putting a rug in the kitchen can be the best décor decision you can make. According to the National Floor Safety Institute, slip and falls send about one million people to the hospital every year. The majority of serious and fatal slip and fall accidents happen right at home. Spills and wet floors in the kitchen can cause a dangerous slip and fall accident. Adding a rug to your kitchen, however, can help keep you safe. A rug can soak up spilled liquids, keep your feet dry, and keep you from slipping in wet areas. Your joints can suffer when you have to stand on hardwood, linoleum, or tile kitchen floors while you chop, cook, and clean. If you’re constantly switching from leg to leg for relief from pain in your knees, hips, or other joints, the right rug could work wonders. Standing on a thick, cushiony rug can provide much-needed relief from pressure on your joints. With a rug, you can stand longer to cook (or clean) without feeling pain or soreness in your joints. A rug (or a few rugs) in your kitchen not only improve your personal health and safety – they can boost the overall look and feel.. The right rug in the perfect size, shape, and shade can enhance your areas design and complement your existing décor, such as a colorful backsplash or minimal white marble countertops. Consider which rug color and material would look best. Then, upgrade your space with the perfect room addition. A Houzz study indicated that 56% of respondents planned to update their yards to make them more entertaining and guest friendly. It seems like a no-brainer, but a lot of people keep their entertaining behind closed doors, never realizing or accessing the full potential of outdoor entertaining spaces literally outside their doors. Outdoor entertaining is more than throwing custom outdoor rugs down and calling it a day. The decorating has to deliberate, especially now that summer is waning and autumn is waxing. Sure it’s cooler outside and the sun doesn’t last as long, but that doesn’t matter in a well designed outdoor entertainment area. It’s not summer anymore. This means two things: less light and lower temperatures. Entertaining revolves around comfort. Be sure that your outdoor space is comfortable and well-lit enough to keep the party going. Provide ample seating and standing room. Small autumn firepits are excellent gathering places, plan your space accordingly. Outdoor spaces can be just as cozy as indoor ones, perhaps even more, when done correctly. Everyone’s outdoor areas are different. As the temperature does grow cooler, so do patio surfaces and grass. Area rugs and outdoor rugs are perfect pieces that are both stylish and practical. They can go on grass and patios alike, keeping feet dry and warm. Just be sure to be extra careful if they’re near an outdoor fireplace. You wouldn’t want to risk your custom made rugs and other luxury rugs catching an errant ember. Indoor and outdoor entertaining are a team, though many people treat them as entirely separate from each other. Your interior and exterior should encourage guests to flow between them. As it gets colder and darker, your outdoor space should usher people indoors to a similar vibe. The party doesn’t end in the backyard, it goes inside for steamy beverages and late night snacks. The way you decorate and design your spaces should foster that journey. Just because summer is over doesn’t mean you should shudder the windows and reemerge in the spring. Change things up and get creative. Show people that comfort knows no seasonal restrictions and they’ll never want to leave. Winter Is Coming, But Fall Is First: Is Your Interior Decor Up To Snuff? We hear you. You love summer. We love summer, too, but our love for the balmy breeze and long days doesn’t keep the cosmos from doing its thing. Autumn is a beautiful season and we think more people need to get behind the majesty of the autumnal equinox. The leaves are changing colors and your interior decor has a marvelous influence that doesn’t need a calendar. It’s time to decorate for fall and prepare your home for seasonal entertaining. How should you go about it? We thought you’d never ask. Arguably the season that naturally boasts the most beautiful tapestry of colors is happening right in front of our eyes. The leaves turn deep red, golden, and burning orange, while the days get shorter. Tone down the brightness of summer with subtle, rich earth tones that sing in harmony with the soft colors of the season. Incorporating autumn colors in your interior decor builds an illusion of being outdoors while bringing the comforting warmth the fiery colored leaves so deceptively embody. Americans are pretty set in their ways when it comes to their home’s look. About 44% prefer traditional, 22% like modern, 13% lean toward eclectic, 10% to country style, and a mere 2% for global inspiration. Subscribing to certain looks can be limiting, we think. Autumn calls for a certain embrace of naturally rustic motifs. We discussed color above, now it’s time to implement more accessories. Wood, burning candles, autumn fruits, and natural light are just some things that help speak the palette of the room and set a mood. Don’t be bound by classifications. Don’t forget your floors. Lots of people have lovely hardwoods that were born to emulate the fall season. Show them off. On top of that, earth-toned custom made area rugs strewn about the hardwood gives the floor even more personality, spreading splashes of color all while providing little islands to keep cool feet warm. How you decorate your home is entirely up to you, but we’re mightily fond of following the seasonal influences. If you’re looking for some inspiration, we can help you out. It doesn’t matter if you want an outdoor rug, luxury rug, or a few custom cut rugs you’ve dreamed about, we’re happy to help. We want your home to be as cozy as possible as the days grow cooler. An entryway indoor rug should be both fashionable and functional. Your rug should make an impression on your guests the moment they step through your doors, while also catching dirt and debris. Choosing the best rug for your entryway takes looking at the décor of the rest of the room and home, as well as the size and shape of the rug you’ll need. Find the ideal fit for your entryway floors with these tips. Before you get to the fun part, you have to find out the dimensions of your ideal entryway rug. Most entryway rugs are either runners, rectangle-shaped, or oval depending on the shape of the area. 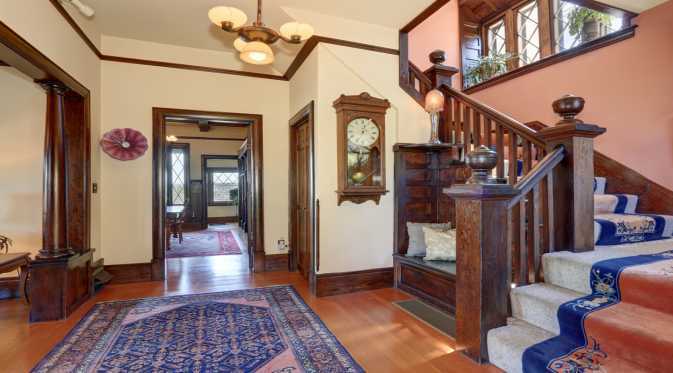 Long, hallway-style entries, for example, do best with runners. Take out a measuring tape and take the measurements of where you want to put your rug. Leave space around the edges for a clean look. Once you know what size and shape you’re looking for, focus on the style. Consider the material, thickness, type, color, pattern, and features of your perfect rug. If you don’t know where to begin, browse a site like Pinterest for entryway décor inspiration. Some of the trendiest options are bold patterns and faux-fur rugs. Make your entryway rug pop to set the tone for the rest of your home. Entryway rugs should be directly in front of your front door to make the most impact and collect the most dirt. If you have a double-door entryway, get a rug that’s large enough to sit in front of both doors for the most powerful look. Otherwise, place your rug where it will be the most useful. If you have an area of your room for shoes, for example, place a rug in that vicinity to collect debris. Don’t be afraid to combine entryway rugs with area rugs in an open floor plan home! Right now, at this exact moment, is it how you want it? Does it reflect your style? Is it somewhere you want to spend a lot of time? If you answered any of these questions ‘no’ then it might be time to make a change. That change could be huge, like buying new furniture or painting the walls. Or you could change only a couple of small things. Things that would vastly improve the feel of your space. Maximum impact, low effort. Oddly enough, one of the ways to do this is by purchasing custom made rugs. Aesthetically, an area rug draws your eye and grounds your space. Placing custom size area rugs strategically in your bedroom can drastically improve the overall feel. Here are some ways you can use custom made area rugs to transform your bedroom into an oasis. Under the bedThis is the most common place to put an area rug in bedrooms. It can feel counter-intuitive to place a rug where it will be almost entirely obscured from view, but an area rug will frame the bed and create a focal point in the room. Finding a carpet that compliments your bedding either in color or pattern can add fun to a bland space. On the side of the bedThis is a newer design idea. Placing a runner type carpet next to your bed along the path you walk can be a great way to add to a zen oasis feeling to your space. If you’re looking for a bedroom that relaxes you a side-carpet next to your bed can be a great way to improve your sensory experience. Getting a fluffy carpet runner to walk on with bare feet. Remember it’s not just about how it looks, but also how it feels. Under a sitting areaIf you have a large enough space, adding a sitting space with custom made rugs can transform your room from just a space to sleep in but also to relax with a nice book. Make sure to get an area rug large enough that it sits well beneath all the furniture with enough left around the outside to display the rug itself and frame the furniture. Studies have found that rugs are likely to reduce allergens within your home. In Sweden, they noticed a correlation where a 70% reduction in carpet use resulted in a 30% increase in allergic reactions. Adding an area rug to your space isn’t just adding to the aesthetic but also helping to improve your health. The kind of rug isn’t entirely important for the impact. Whether you get a braided rug or a plush fluffy rug, getting the one that feels right for the decor in your bedroom is more important than trying to find the same rug everyone else already has. One of the benefits of ordering custom made rugs is the ability to define not only the size but the design as well. In the world of interior design, custom area rugs can make a room feel finished and inviting. You put a lot of effort into designing spaces to suit both form and function, and the placement of an area rug can transform your room both aesthetically and emotionally. If you’ve ever experienced the joy of walking barefoot on a soft fluffy carpet, then you understand this already. In terms of design, an area rug is often the missing piece in a room that should feel finished but somehow doesn’t. Often, you can get custom made area rugs to suit your individual needs. Here are some ways you can use area rugs to complete your almost-finished living space. Add a pop of color or an interesting pattern to a neutral paletteIf you’ve ever seen those beautiful designer kitchens where the counters, cabinets, and backsplash are a lovely combination of white and taupe you know there is always a pop of color. The same idea can be used with a luxury rug. 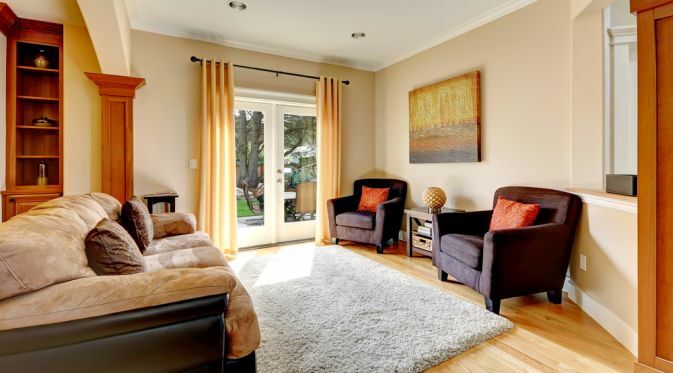 Giving your room the benefit of a striking color pop connecting your throw pillows to the carpet to a painting on the wall. Driving the aesthetic of your home. Bring in a touch of whimsyAn area rug can be a great statement piece. Whether you’re hoping to bring out your cultural roots through an intricate pattern or you are trying to make it feel like your sitting on a beach somewhere drinking mimosas, using custom made rugs is a fun way to display your personality within your home. Provide a grounding point for large objects that just feel offCustom made area rugs are an excellent way to give large objects, like a bed or sofa, a home. If you have a piece that is particularly attractive, say an antique with gorgeous woodwork, an area rug beneath it would draw the eye and create an aesthetic focus in the room. When considering interior design, the ideal distance that an area rug needs from the wall is between 12 and 14 inches. This provides an interesting layered effect similar to a matte finish to a painting. This contrast aesthetically frames the space. Because most rooms vary in size, it’s usually best to order custom size area rugs to work specifically in your spaces. Most people don’t know when they need custom made rugs. Fortunately, you have us. Did you know that only 20% of Americans feel genuinely happy with their home decor? Isn’t that a disturbing statistic? We can only help with so much, so let’s get you — and your floors — covered. Carpeting is little more than understanding the space you’re going to have it in. Before you lay carpet, observe your space and critically analyze it. Let’s consider some of the important questions before you jump into custom cut rugs that you regret. You cannot stumble into purchasing custom made rugs blindly. It sort of defeats the purpose of the whole idea of custom made. Take the dimensions of the rooms you’re looking to have fitted with bespoke rugs. The old construction adage measure twice, cut once applies phenomenally here. Look at that room and measure it again. Do you want to carpet the whole thing? Does it have an abnormal shape? Know exactly what you want, down to the inch, before making the call. Let’s think back to that statistic of a mere 20% of people being satisfied with their home decor. A large part of that dissatisfaction is based on the inevitable human propensity to not like what they have. Think about the permanence of the design you want for your custom made rugs because they’ll end up being foundational parts of your home decor and they’ll likely be there for a while. This might sound a little psychedelic, but the vibe of your space matters. Once you’ve thought about the physical space and permanence of the custom made rugs you’re getting, reflect on the feel of the room and how it might change over time. Once custom made rugs are put in, you’re laying down the foundation of the vibe of your room. Build that vibe from the floor up with something you know your rooms can work with over time. Make sure that foundation remains firm for any design changes that the room could face in the future. The gist of everything here is that whether you’re buying custom made area rugs, full room carpeting, or luxury rugs, it’s a careful process. You’re building interior decor that you want to love and love for a long time. Follow these principles and you won’t have rugrets. Have you ever taken the time to reflect on things you thought were cool? Years later, do some of those ideas make you shudder a little? We’re right there with you. 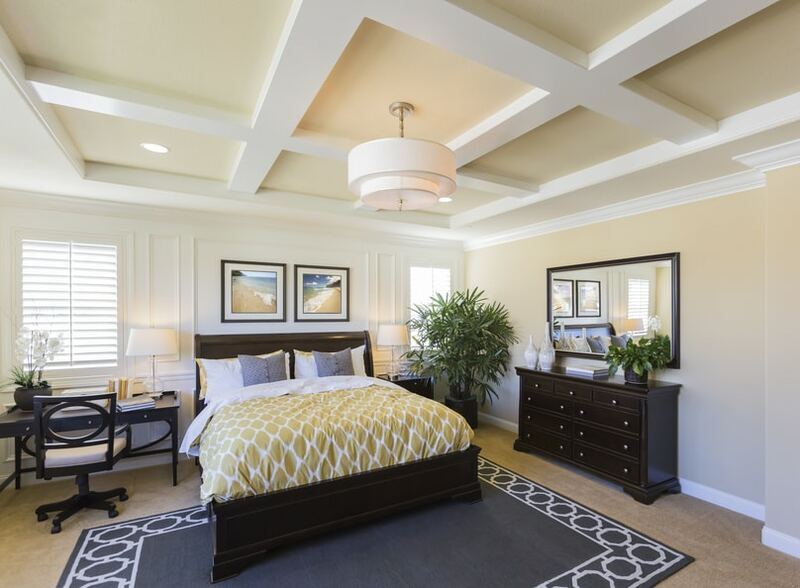 In 2018, a Houzz study found that 48% of participants planned on decorating their homes. Why this number isn’t 100%, we’re unsure. We specialize in custom cut rugs. area rugs, braided rugs, luxury rugs. Whatever you need, we have you — and your floor — covered. However, we won’t deny that there have been some historical design flaws in the world of rugs and we’re here to address them so those unfortunate histories don’t repeat themselves. This has always been a mystery to us. We love rugs, but we know they don’t belong in a bathroom. For sanitary reasons we’re certain you can reason without us having to be explicit, this once-upon-a-time carpeting fad needs to be laid to rest. Some things in the design world make comebacks, but this is one we’ll fight tooth-and-nail to keep out of the rotation for good. Stemming from the past propensity to puts carpets in bathrooms, the same era thought it was cool to put them on walls. Even ceilings. A decorative, luxury rug hanging on a wall is artistic and fun. It can give a museum-esque feel to a room. Carpeting that just continues from the floor and creeps up the wall is not cool. Keep your carpets on the floor and everything is going to be fine. Whether an outdoor rug or an indoor rug, there’s always that one that needs to go. Luxury rugs or not, they don’t last forever. Knowing when your rug has gone from aged-stylish to gross-filth-sponge is supremely important. Keeping one around that’s run its course is never chic. There aren’t many rules to successfully laying rugs, but these few pillars are strongly suggested. If you follow those guidelines, your stylistic and creative choices beyond them are totally up to you. At least you now know that, no matter what, carpeted walls are not an option. Imagine you are a teacher reading a book to your classroom. The story is moving along well and the children are listening until you see a few of them become restless near the back. Rather than pulling them to the side and into time out, you give them a circle seat to sit on. So, what exactly IS a Children’s Circle Seat? A crazy circle seat is a fun, creative, and innovative rug that is available in the shape of small-to-medium sized circle. 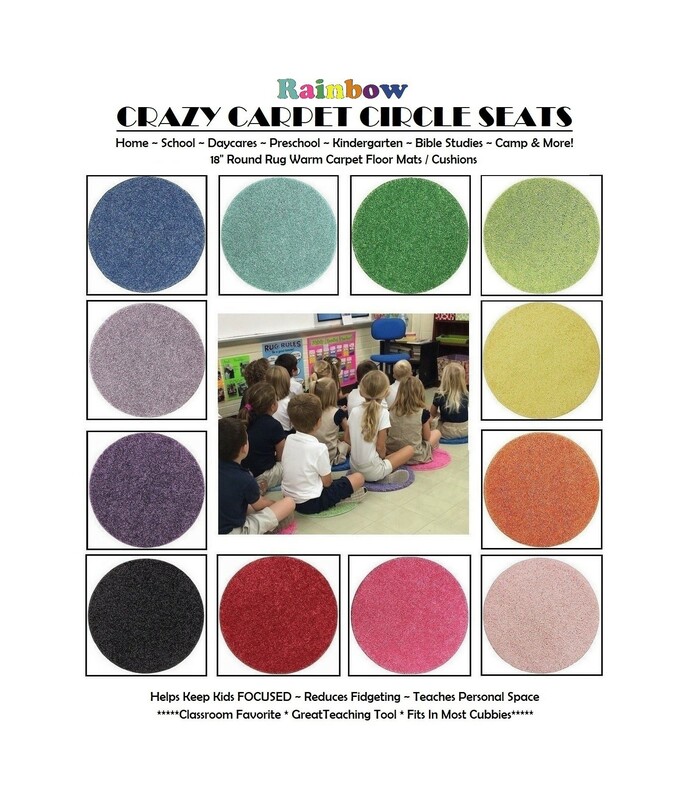 These carpet circles provide an alternative seating option for young students and children when they are fussy . These 18-inch round rugs come in a rainbow of different colors, making them an easy solution to brighten up a kid-friendly space (and keep the noise level down!). Kids love the way carpet circles look and feel – making it fun to listen and learn! Learn all the ways buying carpet circles could benefit you at one of the following places or establishments. Carpet circles are excellent additions to any daycare environment. They are safe and easy to clean – perfect for use as floor seats or fun decorations. Adding carpet circles can help reduce the risk of toddlers getting injured if and when they fall down. Children will fall onto the carpet circles instead of the hard floors. Young children also respond well to bright pops of color in the room. Colorful carpet circles can help kids in daycare centers learn colors and shapes. Filling your daycare center with cute and comfortable carpet circles can improve the look and feel of the space. Carpet circles in elementary and middle schools can work as flexible floor seating options, as alternatives to desks. Children can each pick their own carpet circle to use during group activities such as reading time or show and tell. Carpet circles can also mark certain areas of the classroom, such as the part of the room dedicated to reading. That way, children know when and where to conduct activities. Get the right color to match your room or a variety of colors for a bright and colorful learning space. Carpet circles are a classroom favorite and fit easily in most cubbies. Libraries are one of the best places for carpet circles. They provide fuzzy, comfy areas for people to sit on the floor and read or study. Place carpet circles in kids’ book sections to encourage them to sit still and read. They can prevent fidgeting and distraction, allowing kids to focus on their books instead of their uncomfortable chairs. Carpet circles in libraries add a warm, cozy touch to reading areas that can help make kids and parents feel more at home. Church classrooms, bible schools, camps, and kids’ areas can all benefit from colorful carpet circles. 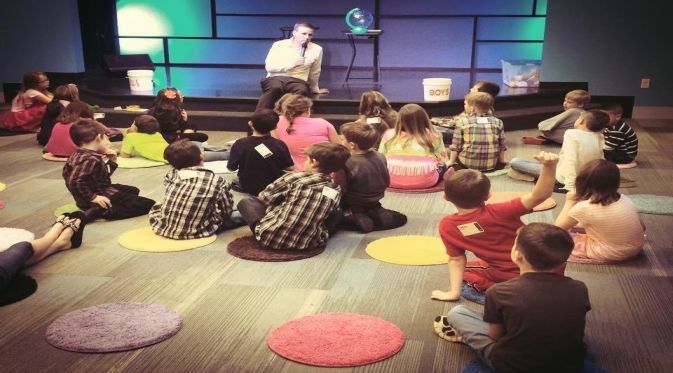 Kids who find it difficult to sit still and focus in church may do better while sitting on a colorful floor mat. Sitting on the floor is a change of pace that many restless kids respond well to, especially in church settings such as Sunday school. Offering carpet circles as an alternative to traditional desks can be the key to making kids happier, more comfortable, and more willing to listen and learn. Carpet circles also work great right at home. Add them to your kids’ rooms, playrooms, or play areas in your home to brighten up a space and create more seating options. They are unique, versatile, and come in a wide range of colors to match any décor. Flexible seating is a popular trend today. Using a circle seat is a great way to join the movement in your home or elsewhere. Start shopping for child’s circle seat today! Back in the day (“the day” in this case meaning centuries and centuries ago!) a rug was made from wool. This was because wool was the cheapest and easiest fiber to work with – not to mention medieval Persian rug makers didn’t have nylon yet. Nowadays, however, customers face a wide variety of fiber choices. Only one material reigns supreme, and it’s – of course – still wool. So what makes wool so special that we should all buy a wool rug? Wool rugs are great for heavy-duty foot traffic. They are naturally moisture resistant, making them much easier to clean after a spill. Their fibers hide stains and dirt much better than synthetic materials, plus there are plenty of wool-safe covers that can protect your rug from the worst of wear. Think about all the antique rugs out there, the fact that most of them are wool should tell you how long you can expect a good wool rug to last. Wool has strong cuticle cells which keep it flexible and durable in a way that synthetic fibers can’t replicate. You won’t need to clean a wool rug as much or as intensely as other fibers, it will stay fresher longer, and won’t lose its look after a year. And perhaps they aren’t cheap when you first purchase one, but, you need to consider life expectancy as well. Wool is a durable fiber, much more so than artificial fabrics, and what you pay up front you will save in long-term cost. Buying top quality right out of the gate means you don’t need to buy a new rug one year later, the year after that, and so on. Quite simply, if you skimp on your rug now, you’ll only end up paying the exact same price over time – if not more – as you need to replace it. It’s not the most scientific point to make, but wool just feels so much softer than artificial fibers. Think about it, would you rather have a beautiful wool rug under your feet, or a prickly, acrylic piece that feels like a doormat? Unless you want a basket-textured floor surface, you’re better off going with a wool rug. Wool soaks up color better than artificial fibers. This means it has a wider variety of beautiful, appealing patterns and designs that you can’t replicate with a cheap rug. Patterns don’t need to be classic Persian or Turkish designs either, there are just as many modern looks to find too. Going to a rug repair shop can be an expensive process. Sometimes, there’s no getting around it, but there are a few small repairs you can do at home to save a little bit of money. Now don’t get the wrong idea – unless you’ve studied for years in the art of making wool rugs, you don’t want to be too ambitious, but a small tear in the back or frayed edge is well within your ability. 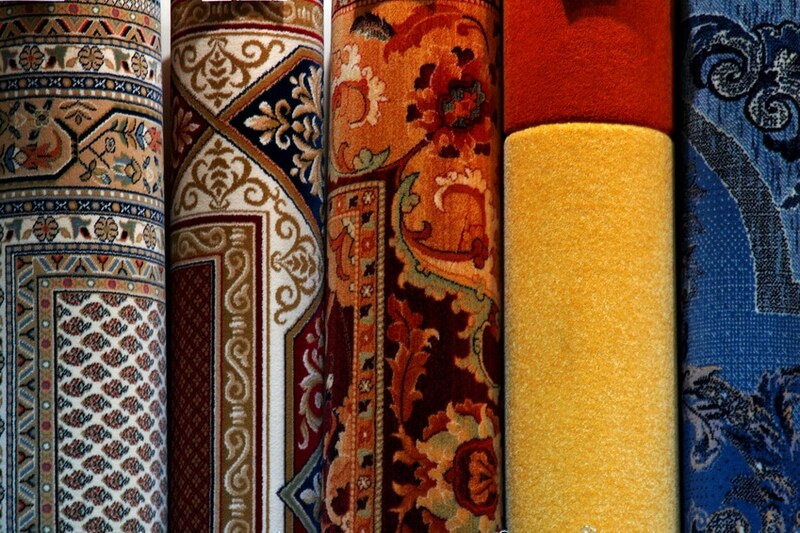 Here are five small fixes you can do at home to save your rug, and your wallet. Worn and torn fringes are the most common – and permanent – issue with a wool rug. 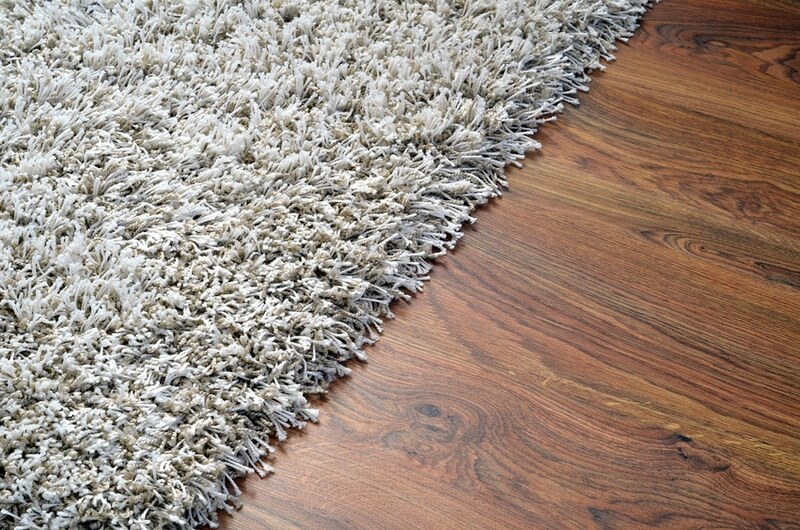 As your rug sees use, the fringes start to come undone, until slowly but surely the rug unravels and shrinks. The small knots that make up your fringe need maintenance and attention. Whatever you do, though, do not use a machine – they are not delicate enough to properly thread the fringes together and can make your situation even worse. When repairing an edge, use upholstery thread that is sturdy enough to hold together a thick rug. You want to thread that string through the warp and weft of your rug to hold the ends together, and most importantly – you want to do this as soon as you notice a problem. The less yarn on a rug, the less likely it is to be fixed. Sew your thread through until you cover the frayed region and tie off the knots. A hole in the back of your rug is relatively easy to fix. There’s always the low budget option of covering it with adhesive tape. For double-fabric sided rugs, however, you should push the displaced fabric through the cut to the proper side and tie off the holes. If your rug has a rubber backing and it’s coming apart, cut a piece of replacement backing and apply a thin layer of hot glue systematically from left to right where the old backing is undone. Press the edges together and keep them together until the glue dries. Damaged stitches in a braided rug can pull apart the entire weave. Uncoil the damaged area and pull out the broken stitches. From there, replace the damaged material and braid them back together. Sew the coil and edges together with linen thread tightly. 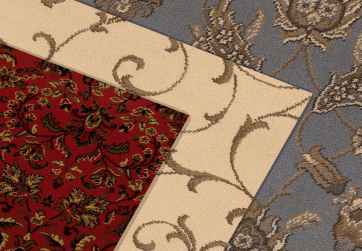 If a piece is cut or torn from the top side of your rug, cut a line parallel to the tear into both sides of the rug. Once you have an even, clean cut, sew the two ends together tightly and securely to cover up the tear altogether. Summer means fun in the sun, great weather, and plenty of warmth. But it also means humidity and moisture – which turns more and more to rain as the year progresses. While your garden loves this water, your carpentry, furniture, house and rug certainly don’t. Worst case scenario, your rugs can develop a musty, mildew smell that stinks up your house. Don’t worry though, no need to call a professional cleaner yet! Instead, there are two DIY solutions you can try first to get rid of the smell. You probably have plenty of baking soda on hand for cooking, but it also has a few cleaning uses! It’s a well-known DIY trick that baking soda can absorb foul odors. Many moms make great use of baking soda to clean the odor from stinky shoes! Well, you can use that baking soda here too. Before you get to cleaning, make sure your rug is completely dry – you won’t achieve much by pouring baking soda on a damp rug! Once it’s dry, pour a generous amount (you’re aiming for a pretty thick layer) of baking soda evenly over the smelly area. Press it into your rug gently to get between the fibers. From there, you want to leave the baking soda in the fibers overnight, or better still for a couple of days. After that, just vacuum up the baking soda and check the smell. If that’s not enough, or if you want to have a fun chemistry experiment too, you can always try the classic vinegar – baking soda reaction. Vinegar itself is a common household DIY cleaning agent, but it’s also useful for absorbing smells. You can pour the vinegar directly onto the rug or pour it over the baking soda from the previous attempt. After a while, add some baking soda (not too much this time) and let the bubbles foam. The even more obvious solution, if you’re okay with spending some money, is to go to the store and pick up some foaming carpet cleaner. Spray some of the spot cleaner on the location that smells, and scrub away. Leave the rug to dry – preferably up on a rack so it gets good air circulation – for about 20 minutes. Be sure to scrub every spot that got wet earlier, as mold and mildew spread quickly. If these DIY solutions don’t work, you may want to bring your rug to a professional cleaner – untreated mold can be a serious health hazard, so don’t treat this lightly! You love your pet, but you also love your antique or custom rug and want to keep your rugs clean. You certainly don’t need to choose between the two, you need to find a way to clean their messes – or better yet – stop them from happening! We all love our furry friends, but let’s face it, they’re messy creatures. Preventing a bathroom accident or an upset stomach on your rug, or cleaning an already existing one, is easy with these tips. One of the most popular ways to prevent an accident is to make your rug as unattractive as possible to your dog or cat. Thankfully this doesn’t mean anything bad for the rug itself, you just need to apply a scent that your pet will avoid. For dogs, this means a splash of vinegar in the area around your rug. Not directly on the rug itself, just the immediate area surrounding it. Dogs avoid the smell of vinegar and will be less likely to make a mess nearby. The secret weapon to keep a cat away, however, is citrus. This can be a citrus-scented aromatic or a cleaning product – though don’t spray your rug directly with Lysol anytime soon! Since cats are picky about their bathroom behaviors, make sure they’re using their litterbox too – sometimes cats don’t use one because they feel uncomfortable, so consider moving it around. Aside from bathroom or stomach messes, wool is naturally moisture resistant and hides dirt like nothing else, so as long as you clean it regularly, you don’t need to worry about dirt and stains from fur and oils. Sometimes a dog or cat gets sick or doesn’t make it outside in time. It happens, but it’s no fun to clean. To save yourself some trouble, though, a simple DIY solution makes use of classic improvised cleaning supplies. Vinegar, baking soda, and detergent. Sprinkle a generous layer of baking soda on the mess area and leave it there for anywhere between 30 minutes and a few hours. The longer you leave the baking soda, the better it will absorb scents. Afterward, vacuum it up. Mix vinegar, warm water, and dish washing detergent in a bowl. Take a scrub brush and your cleaning solution to the rug and start scrubbing away, applying a little bit of the fluid at a time. Scrub the area for a few minutes and immediately blot the spot with a paper towel. Leave your rug to dry in an elevated position – or hang it if you can – so that it gets maximum airflow until it’s dry. With much of the United States baking in warmer weather, it has come time to start thinking about outfitting your patio. You have the furniture that you need, but the next necessity is a new outdoor rug. Read on for some reasons to get an outdoor rug this summer and some of the recommended rugs. Without colored walls to make the design of the room pop, an outdoor rug is a handy way to bring some color and design elements to your patio. Laying out a beautiful outdoor rug will make your backyard feel even more like a cozy, comfortable part of your home. The same material used for boat carpets goes into outdoor carpets, so water can pass through them quickly, allowing them to dry much faster than indoor rugs. There are many great options for outdoor rugs. One of them is the Cape May. It has a fun, trendy design that goes well with coordinated pillows and is ideal for adding accents of color around the patio space. Curacao is another stylish choice for an outdoor rug. It has stripes of assorted colors. You can clean it easily with water and a rag if anyone spills on it during your summer parties. 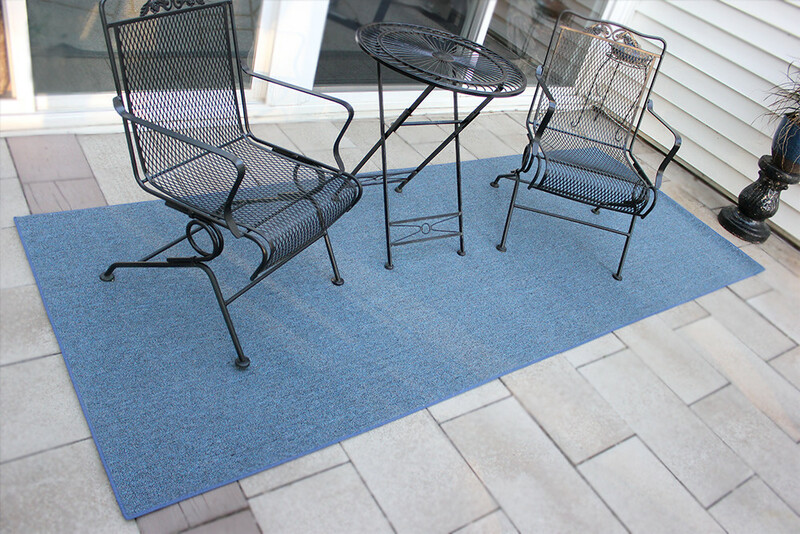 Kona rugs feature lovely colors and to add extra character to your patio’s floor. Outdoor rugs are not only ideal for patios. A non-slip Oelefin rug is perfect for placing on a dock. It brings a fun and relaxing feel to the area, whether you are getting ready to jump in the lake or relaxing and reading a book. When people are picking out patio furniture, they often forget about outdoor rugs, but a stylish outdoor rug can help your backyard reflect the comfort and style of the inside of your home. Now that we’re right in the middle of summer, the draw to go outside and take advantage of your patio space after is strong. An outdoor rug can make your outdoor space feel welcoming. However, a little cleaning may be necessary to make sure everything is ready to impress your guests. Follow these tips to clean your outdoor rug for the remainder of the summer season. You should clean your outdoor rug at least once a month when it is outside, because outdoor rugs often get extremely dirty. Use soap and water to scrub it down. Clean both sides – not just the side that people have been stepping on. Rinse it with a hose after you are done to get all the soap out of the rug fibers. It is important to thoroughly dry your rug after scrubbing it down, because if it stays damp, mold could grow. Hang it over the side of your porch or lay it out flat and let sunlight dry it. Do not forget to flip it so that both sides dry. Another large risk for outdoor rugs is moss developing. It is important to kill any moss as soon as you notice it. Scrub it with white vinegar and let the vinegar sit in the rug fibers for at least 10 minutes. Scrub it again to clear the moss off. After killing the moss, lay the rug in the sun and make sure it dries completely. To maintain it for as long as possible, store your rug when it is not in use. Take it inside and store it before winter hits, so that snow and ice will not damage it. If you do not have space to store the rug, roll it up and wrap it in a tarp, securing it with bungee cords. Then you can store it outside without it suffering any damage. Rugs make great decorative additions to any room. They can add color and character to your home. However, you need to have the right size rug to fit the space. While rug style and design are big factors, rug size is the most important aspect for any rug. Follow these guidelines to find the perfect size rug for the rooms in your home. The best rug option for a living room is one rug that covers the entire space. This connects all the furniture and makes the room feel open and unified. Another option is to have only the front legs of the furniture on the rug. This works best for living rooms where all the furniture is pushed against the walls around the room. A third option for living room rug sizes is to have a small rug that only goes beneath the coffee table in the center of the room. It helps a small living room seem larger. The preferred size of a dining room rug is clearer than with a living room rug. Dining room rugs should simply reflect the setup of the dining room table. If you have a rectangular table, you should get a rectangular rug that both the table and chairs can fit on easily. If you have a circular table, you should get a circular rug. Whatever option you choose, try to get a rug large enough so that all legs fit on it, thereby ensuring that each chair has an even ground to sit on. Make sure that your rug size and placement are based around your bed size and location. If you do not want to have a single rug beneath your bed, you can have two smaller rugs that run on either side of your bed. Runner runs are always ideal for hallways. Try to get a rug that is not too large, so furniture legs are not on the rug. For the entry, choose a rug that reflects the shape and size of the space. Make sure the rug is small enough that the front door can still easily open. Koeckritz will customize any rug to the shape and size needed for your area. The ‘layered rugs’ look has gained popularity, adding to the style benefits a rug can bring to any room (image shown is for reference only). Layered rugs can add texture and pattern to the decoration in your home, make the room feel larger. Consider some of these things the next time you are deciding what rugs to place in the rooms around your home. 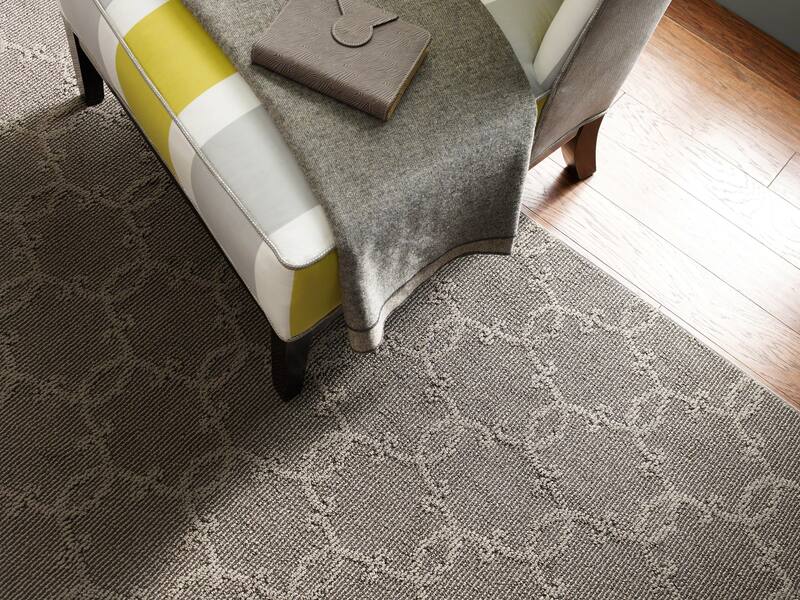 One great option for rug layering is putting two patterns on top of each other. Take a larger rug with a simple pattern and lay another, smaller, more eccentric rug on top of it. Make sure the patterns contrast enough to see a difference, while still looking as if they fit together. The look is especially fun if the base rug has tassels that can provide more texture. Most people place runners in their hallways. Consider choosing two smaller rugs and layering them together to fill the long space. You can even put the rugs at an angle if you want your home to seem even more unique. One of the reasons layering rugs has become more popular is because they want fun colors in their rooms but do not want the entire floor to be covered in a bright color. Vibrant colors will pop if they are layered on top of a more neutral-colored rug. If you want to add more color, you can layer two brightly colored rugs and give the room a whimsical look. Many people have begun layering rugs by laying several large area rugs to cover their bedroom floors. Try adding a smaller rug next to your bed where you usually put your feet when you are getting out of bed. It will provide a fun accent and add some cushioning when you are trying to get moving in the morning. Color is a fundamental part of room design and finding the right color scheme can be tricky. A rug is a great opportunity to enhance the colors in your home. With an area rug, you can coordinate with the rest of your space or bring out one of the minor colors in your design. Follow these tips to pick the right rug color. Some people forget to consider the color of their wood floors when deciding on a rug color. However, this is a major factor. Make sure that there is a clear contrast. For example, if you have dark wood, you want to get a light-colored rug. It will be a striking visual for your room. The only situation in which you should not have a contrasting rug is if you want to accentuate other parts of the room such as the furniture or curtains. Heavily patterned rugs can be a risky choice. If it does not match, the rug could be overwhelming and make your room look cluttered and loud. If you want a rug that has a strong pattern, it is a safer choice to buy the rug first and then choose furniture and accessories that match the rug. This will ensure that you do not have clashing colors and patterns in your room. If you already have the room outfitted and are set on getting a heavily patterned rug, take your time deciding and be careful about what you choose. On the flip side, make sure you are not playing it too safe. A bold, striking rug can sometimes be the perfect addition to a room. Neutral rugs combined with neutral furniture and accessories may make your room significantly less exciting. Rugs have always been a classic, timeless way to improve a space. Lately, though, consumers are branching out and picking rugs that say so much more than step on me. Over the past few years, people have expressed a rising inclination for hardwood flooring over carpet. As a result, carpets have become more of a design presentation used to provide a finishing touch for a room with hardwood flooring. Nowadays, rugs are a design statement. Check out the following 2018 rug trends to keep your space fashion-forward with the perfect rug to make a memorable statement. With the growing popularity of hardwood floors, we have noticed a marked rise in the prevalence of carpet runners for steps and area rugs in a home or building. While carpet runners have become a major decorative trend, they are also vital for safety purposes. For the most part, area rugs look their best when they establish a variance in color or texture in between themselves and the hardwood flooring. When it comes to runners, however, many prefer simple and modern patterns rather than oriental styles. Instead of standardized runners, people are now favoring custom-made runners cut especially for their stairways and steps. Most designers are also avoiding carpet rods in order to create a more sleek, crisp look. With the ability to be replaced easily after being damaged, carpet tiles are a logical choice for commercial environments and high-traffic areas in a building. Throughout the past couple of years, they have also become a key choice for residential homes, particularly in basements or playrooms for children. Carpet tiles are available in a large selection of colors and patterns, so they are an excellent means of enhancing the creativity and richness of a room. When it comes to rug style trends in carpeting colors, you might have noticed the expanding desire for neutral colors, such as grays and taupes. Rugs with these softened tones enable you to incorporate more color flares in a room’s decorative accents and create a harmonious appearance when used on dark hardwood flooring. Getting your security deposit back from a rental takes planning well in advance – from the second you move into a new place to the second you move out. The good news is there are ways you can take action in hopes of getting your deposit back in full. Adhere to the following three tips to keep track of and maintain the condition of your apartment this year. Before and after you move in, make sure you take pictures of the apartment’s condition. If you detect any signs of damage before move-in-day, make sure to get images of the issue and document the date you find the damage. This will protect you from being held accountable for the problem later. If you find any large damages, reach out to your landlord and notify them before you move in. Taking preventative measures is the best way of preventing damage to hardwood floors and carpeting. Common damages, such as stains on rugs and large scratches on hardwood floors, are relatively common, but they can destroy your chances of getting your full security deposit back. Covering areas where people frequently walk with a decorative area rug can protect hardwood floors and carpeted spaces from potential damage, leaving the underlying area clean, fresh, and spotless for move-out day. Customizing the size of your wall-to-wall carpet or area rug might sound like something you’d only need if you were a home builder or contractor, but this is a common misconception. In fact, it’s trendy right now to order custom-cut rugs for those unusually-shaped areas in your home. Customizing your carpets doesn’t have to break the bank or be a hassle. If you are considering investing in a unique rug, or if you just want to learn more about going custom instead of pre-made, check out the following list of benefits of designing and ordering custom rugs. One of the most appealing advantages of ordering a custom cut rug is the fact it will be able to fit perfectly inside your oddly-shaped rooms, nooks, and cranny’s. Since rooms and walkways can have dissimilar designs and strange shapes, generic pre-made rugs aren’t always the best option. Oftentimes, standard rugs do not fit correctly and can make an area look sloppy and unsymmetrical. A customized rug can provide your room with the balance needs to look orderly and harmonious. Many individuals waste countless hours at carpeting and home stores in an attempt to find the optimal color rug to match the colors of their walls. When you opt to design a custom area rug, you have the opportunity to coordinate its color with the room you plan to place it in. With the chance to select all the colors in your rug, you won’t have to worry about potential tone clashes or spending days searching for the shade your room requires. If you have a certain material you want your rug to be made out of, going custom is the right option for you. When designing your custom cut rug, you will have the chance to choose not only the material, but other intricate details as well, such corners designs, borders style, and more. These choices will create design with the capacity to reflect your own individual style, which is why custom rugs are an excellent means of adding a personal touch to your home. Rugs are excellent investments because they can last forever with proper cleaning and care. While it’s important to occasionally deep-clean your favorite rugs, it’s just as important (if not more so) to keep up a daily cleaning regime. Luckily, keeping a rug like new doesn’t have to be difficult or time-consuming. Here are four easy things rug-owners can do daily to improve the appearance and lifespan of their rugs. Rugs and carpets are prone to accumulating dust on their surface quickly and easily. Daily vacuuming will ensure these substances don’t remain trapped in the carpeting fibers and cause deterioration and dull colors. 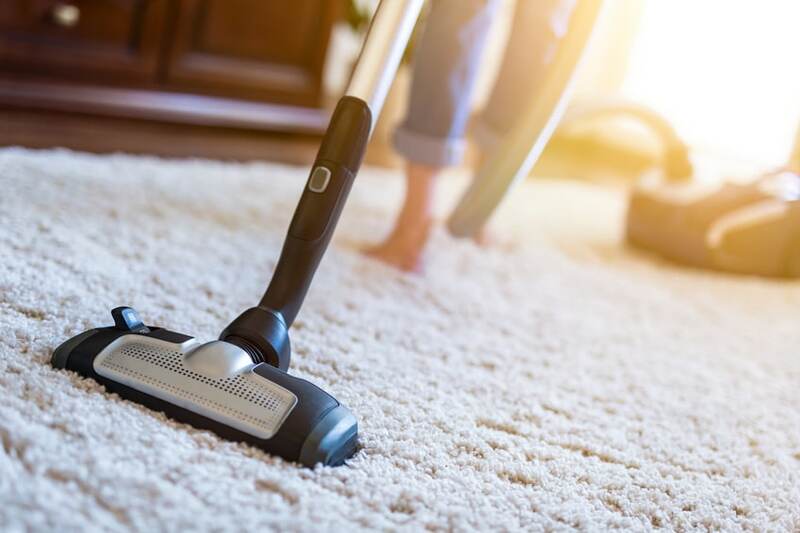 While many rug-owners don’t get their carpet cleaned professionally until it becomes stained, it is best to have your carpet professionally cleaned at least once a year. 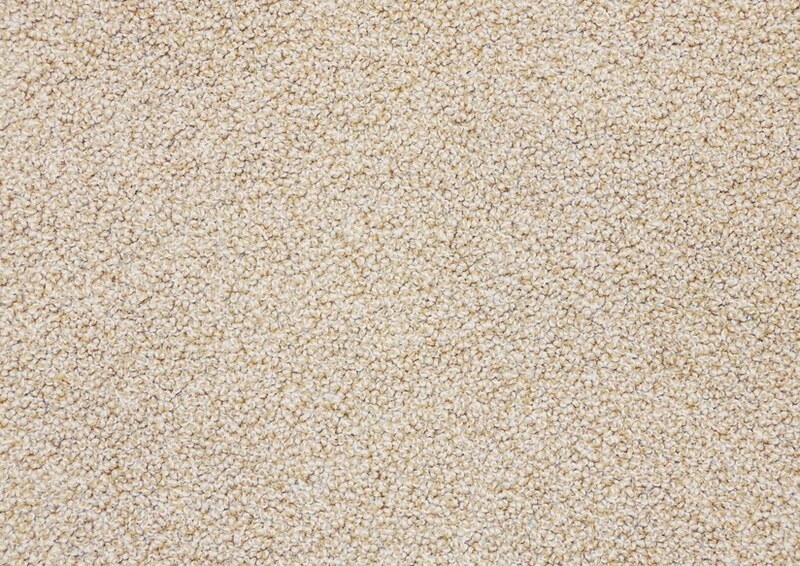 The longer you permit dirt and stains to remain in a carpet, the harder it is to get them removed. Routine carpet cleanings can help purge dirt and bacteria embedded deep inside your rug, which can extend its functional lifetime. Whenever your carpeting is stained, it is important to blot the affected area with a clean dry cloth as soon as possible. If the spill sits on top of your rug for too long, it can become permanent. For the best chance of removing a stain without damaging your carpet, call a professional carpet cleaner. While there are numerous carpet cleaning products available at your local stores, not all of them are safe to use on all kinds of carpeting. Many of these products might contain harmful chemicals with the potential to damage your carpet permanently. Before using a store-bought carpet cleaning solution, always read the directions carefully and conduct research on the product to ensure it is safe to use on your rugs. Even if you frequently clean your carpets, they can still be ideal places for pests to hide. These critters can eat away at your carpet and ruin it. Learn what types of carpet pests could be hiding in your carpet and how to see their signs. Carpet moths are beige and small and enjoy laying their eggs in rugs. The moths themselves do not cause visible damage, but they can lay 100 to 150 eggs, and the larvae can cause significant harm. Once they develop into small caterpillars, they will eat away at the fibers of your carpet. Carpet beetles have dark bodies and wings with patterns of white, brown, and yellow. They generally prefer to eat flowers, but if they get inside your building, they will lay eggs in your carpet, wool rugs, and leather furniture. The larvae will eat almost anything once they hatch. You will most likely see the damage before seeing the actual pests. Silverfish have sleek bodies that are blue-silver or brown-grey. They have three bristles on their rear. They usually eat away at household materials, but if they do not have access to those, they will begin eating the fibers in your carpet. If you think you have any of these carpet pests, hire a professional carpet cleaner to steam clean your rugs, because the heat will kill the pests. Professionals can also recommend other methods to prevent this from happening in the future to save your wall-to-wall carpeting or rugs. An area rug works well tying a room together and instilling an air of coziness and comfort – but did you know that they can also provide three surprising health benefits? Although we might not associate a carpet with improved indoor air quality, rugs can have a beneficial effect on the air you breathe in every day. Besides improving the condition of the air inside your home, here are three ways that purchasing an area rug for your home can improve your overall health and well-being. 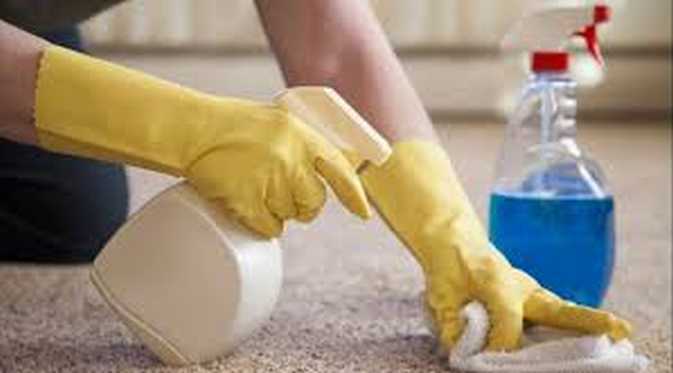 Gravity causes particles, such as dust, pollen, pet dander, and bacteria to fall to the floor of your home, and for many years experts advised people with allergies to remove all carpeting from their homes, thinking that they were damaging to their health. But now, numerous studies have shown that having carpet can actually be beneficial to people with allergies because they trap allergens, which keeps particles out of the air where they would otherwise be breathed in. If you suffer from allergies or other breathing conditions like asthma, purchasing an area rug can help lessen some of your symptoms. An area rug is a great way to cushion your footsteps and protect against injuries that may result from slips and falls. Rugs offer safety protection for the whole family, especially young children and older adults who are more susceptible to accidental falls. 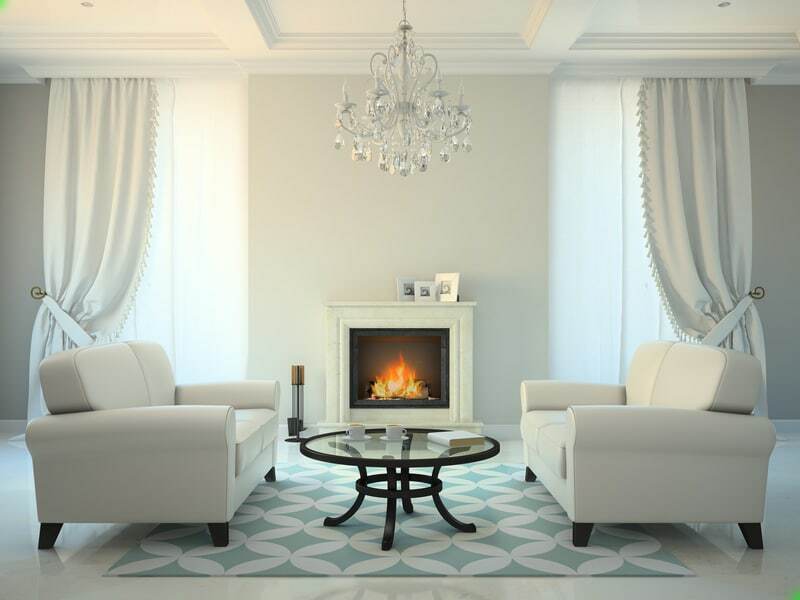 In colder seasons, an area rug provides thermal resistance by retaining warm air longer. This extra source of insulation can be valuable for people with health problems and have trouble staying warm. Extra protection from the cold can also be helpful if you or a family member comes down with an illness like the flu or a cold, which also affects your body’s ability to remain warm. Decorating homes can present several challenges. Some rooms in your home may seem too small, while others don’t have enough light. 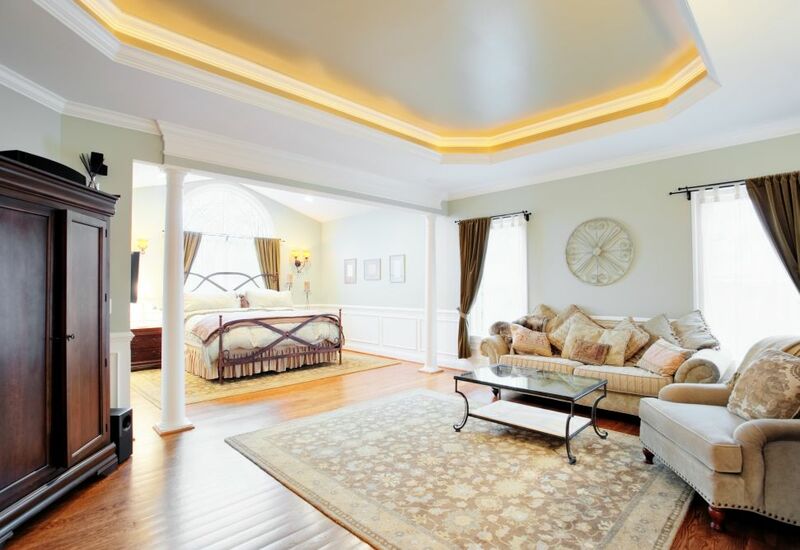 Even if making structural changes like adding extensions, skylights, and windows isn’t an option right now, you can still your interior design challenges without breaking the bank. Bringing light to a dark room is a sure-fire way to make it more appealing. To brighten a room that lacks radiance, it is important to lighten the floors. If you can’t replace a dark floor, cover the area with a light-colored rug. This not only illuminates the area, but it makes it appear more open. When your room is missing harmony it appears to lack an authentic “finished look”, the addition of a neutral area rug can help bring a scattered room together by anchoring your furniture around the centerpiece of a room, like the bed in a bedroom, or the coffee table in a living room. Rugs can also connect parts of a room that may otherwise appear to be disjointed like blinds, side-tables and dining tables. When using a rug to help your room look bigger, it’s important to make sure it is a properly sized. Though there are no official rules within interior design for choosing specific rugs for particular room sizes, a common mistake people make is buying a rug that is too small for their space. Experts say the best way to determine the correct rug size for a room is to make sure that it is big enough for all of the room’s furniture to sit upon. Ready to order your indoor rug? If you’re like most people, there are several more months of winter to get through before spring will be sprung. As nationwide cold temperatures make it difficult to get out and about, you might find yourself feeling bored and stir-crazy. But before vowing to move to somewhere that has a warm climate year-round, why not consider making the most of being trapped indoors by working on some home improvement projects (indoors of course)? If you want to brighten your mood – or if you’re tired of looking at the color of your walls, repaint them with a cheery color to lessen the effects of the gloomy weather. A new coat of paint can lift the spirit and the atmosphere of the entire room, but don’t forget to open your windows to let fresh air in while painting. It may be dark outside, but this doesn’t mean that it has to be dark inside your home as well. Installing new lights, lamps, or a brand new area rug can be a simple and affordable project that will have a lasting effect on the radiance of your home. Rugs provide the added benefit of warming up your space throughout the remaining cold months and will be good for trapping pollen once spring arrives in full. Winter is the best time to work on getting organized before the nice weather arrives. After all, no one wants to spend a sunny day indoors sifting through a cluttered garage or closet. Rather than trying to tackle your entire home at once, commit a few hours each day to cleaning out various areas. Start with something small like a shelf or set of drawers, and work your way up to larger spaces like your closet and the garage. Not only will taking it slow help you pace yourself, but you’ll be able to see the progress you make as the days go by. Now that the holiday season is over, it’s not uncommon for people to feel down as they return to their day-to-day lives. A great way to keep the post-holiday blues away is to create a serene and calm environment in your home with new rug. Most people instinctively recognize that rugs can change the way they feel about a room, but what many don’t realize is that a good rug is more than a simple decoration. Here are three reasons why the effects of a fresh new rug can brighten up your winter and keep the post-holiday blues at bay. With the cold months of the winter still ahead, a new rug is a great way to insulate your home after the holiday season. Most know that rugs and carpeting are warmer than hard surface flooring, but many are unaware that they also have greater insulating value, especially if the rug has a pad under it. Though a good rug can help increase the warmth in any room, they offer a special benefit to basements and areas where the floors can get outright cold. Many people intuitively know that a rug can make a room feel more comfortable. Feng shui provides additional insight to this idea, as energy travels faster over hard surfaces and slower over soft surfaces according to these principles. Fast flowing energy can create an atmosphere of anxiety. Rugs assist in this area by slowing the energy flow down, thereby creating a more serene atmosphere inside a room. Without a rug, furniture can seem as though it is floating aimlessly within a space. A rug can help anchor your furniture, but it should be large enough that the main pieces of furniture can all sit on the rug, or at least have the front legs fit comfortably. 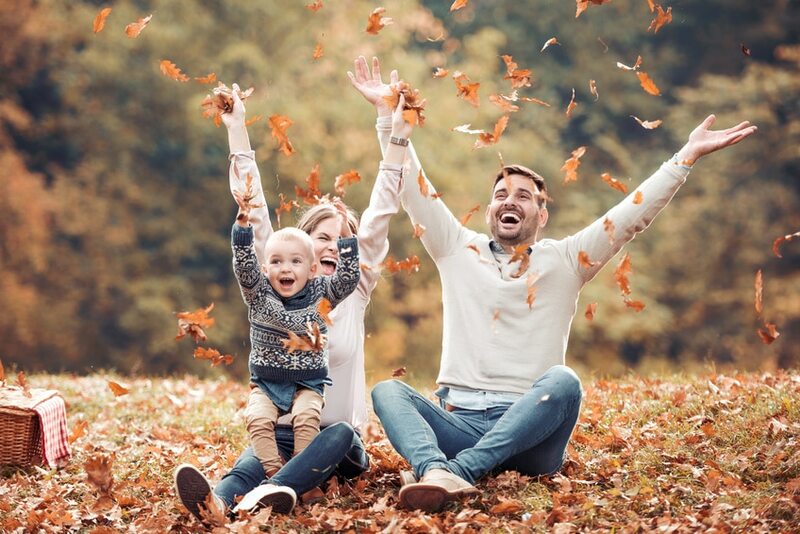 This anchoring technique can help create a more stable and comfortable environment for you and your family throughout the new year. Ready to order your new rug? As technology continues to flourish, we often forget about basic things in life that does not have a battery or screen. Things that bring stability and comfort in one’s life. Simple things that can be brought into a room and add color. Yes, we’re talking about a rug. Not only does a rug bring comfort to a person, but it also brings out the creativity that may be locked away. Rugs are a great inexpensive solution to showing your creativity, but, choosing the perfect rug can be daunting. In recent years the rug business has evolved; choosing the best rug for your home or business has become an exact science with the help of carpet experts. From selecting the correct size of a rug to the steps to color and finally ordering, the process has been streamlined to you, the consumer. Koeckritz Rugs, provides complementary samples to make selecting your perfect rug easy! This article will be your ultimate rug and carpet selection guide from beginning to end! Will you need to cover the entire floor or just part of it? What if you only have a small confined space, what’s the right proportion of the size of the rug? Lesley Myrick, an interior designer in the above YouTube video, provided a quick guide in choosing the proper size of rug(s)s for your space. It even provides recommendations about rug placement. 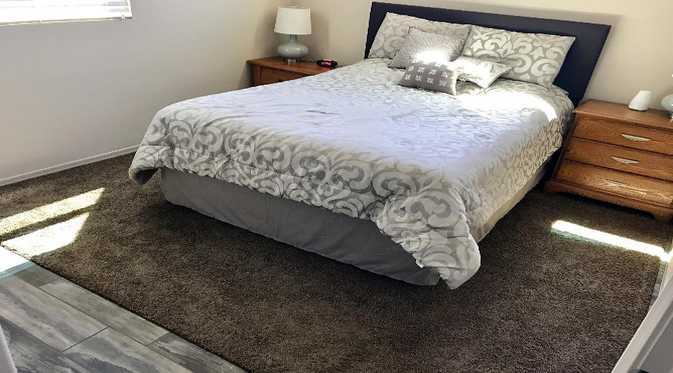 If you are narrowing your search to one large rug to be placed adjacent to your bed, we recommend that the rug extend at least 2-3 feet on either side of the bed. If a rug of that size is simply out of your price range, a good alternative is to opt for a traditional “bedside” layout. This features two small rugs on either side of the bed and one rug at the foot of the bed. For a guest room or kids’ room with two beds, consider placing one rug between them. Many people forget about hallways when they are decorating with rugs. A runner is a beautiful solution to make a statement in this often neglected space. First, measure the hallway and then subtract 12 inches from the length and width. This will allow for a six-inch border all around. If you have an extra long hallway, using two runners laid end to end is perfectly acceptable. You may also want to consider investing in a rug pad, which will protect both the rug and the floor from scuffs. However, should you need further assistance regarding the best rug size, please contact the experts at Koeckritz Rugs at (847) 859-5459. Solids and colors and patterns! Oh, my! You’re almost ready to really begin your rug shopping. Your next step should be taking a quick inventory of your color scheme. To tie the look of the room together, you’ll want to select a rug that complements the main colors in the room. If you visit a physical store, we suggest you take along a throw pillow and a color swatch of your drapes, furniture or wall colors with you. It’s incredibly hard to visualize how the colors will work together without any reference. 1) If your primary furniture, such as a sofa, is a solid color, consider selecting a patterned rug. 2) Match the secondary color in a patterned rug to your sofa. Match the third rug color to your pillows, drapes, wall color or other accents in the room. 3) If your primary furniture is upholstered in a pattern or is elaborate in design, a solid-colored rug would work really well. 4) Make sure a solid-colored rug complements your sofa color, and match it to the accent colors in the room, such as artwork or a vase. 5) Since a rug serves to anchor the room, the color and style of your rug can establish the mood. Dark, rich colors help define a more intimate space while lighter colors make a smaller space appear larger. Spicy hues such as yellow, orange or red add warmth while cool colors create calm, especially in a sunny room. Color is important. It helps to define our mood and our overall sense of style. Cool colors like purple, blue and green are said to be calming and relaxing. Warm colors such as red, orange and yellow lift our mood and pump up our energy levels. Rich, dark jewel tones such as burgundy, burnt orange, mahogany and hunter green often set a more traditional and formal style. Bright blues, yellows, greens and reds create a more Provencal or Scandinavian feel depending on which textiles and furniture you choose. Sleek black and silver usually lend themselves to a contemporary look. Pastels lend well to shabby chic, country, cottage and beachfront-inspired décor. 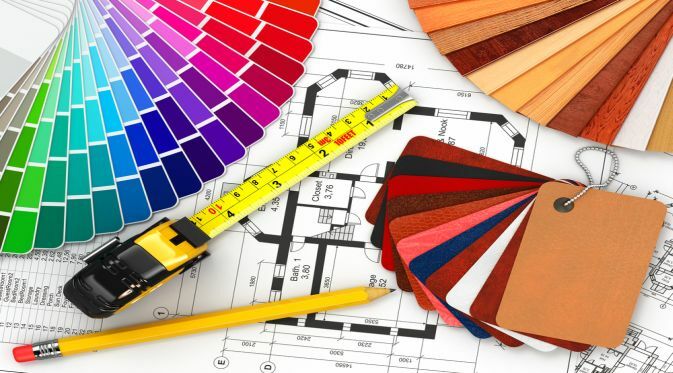 When choosing color schemes for your home it is often best to choose colors that are either directly opposite from one another on the color wheel (complementary colors) or directly next to each other on the color wheel (tertiary colors). These are the colors that are most harmonious with each other and they tend to produce the best looking interiors. Alternatively, you can call 847-859-5459 and a Koeckritz Rug expert will be happy to assist you in choosing the best rug color for your home. The infographic above shows that we also need to take into consideration foot traffic. There are rugs more suited for entry ways rather than for bedrooms. Also, how do you want the rug to feel? Plushy? Woven? The infographic will be your guide in choosing the right material from the four categories. The look, feel, durability and value of a rug has a lot to do with the materials used during manufacturing. If you want a rug that meets your needs immediately and are not concerned with its longevity, then any rug will do. However, if you prefer to get many years of use, then select luxury materials are a much better choice. Let’s start with an overview of the various types of materials commonly used in manufacturing rugs. Just as the characteristics will vary between the types of rug materials, so will the cost. In-depth information on various types of materials can be found on their respective pages. Natural: Animal or plant fibers, including wool, cotton, sisal, jute, seagrass or bamboo. Synthetic: Man-made material such as viscose, rayon, nylon, acrylic or polypropylene/olefin. Sisal, extracted from the leaves of the ‘Agave Sisalana’ plant, is the most popular of the plant fibers used for rug making. This plant, sometimes called the American Aloe or Century Plant, is native to Central America, but is now grown all over the world, especially in Java, East Africa and Mexico. Even though sisal is only one of the plant-based rug materials, the name has come to be used generically for all plant-based rug materials. Sisal has long, fine fibers that allow it to be made into smooth textured yarn. Sisal rugs are anti-static, sound absorbing, flame retardant and long lasting, all of which make sisal rugs worthy of your consideration. Jute, made from stem fiber plants, comes mainly from India and China. Jute is well-suited for making durable yarns and fabrics because of its stability and firmness. Like other plant fibers such as sisal and coir, jute has a nice look when made into rugs, but it can be coarse and also susceptible to stains. This is just one of the reasons that natural and synthetic rug materials might be blended together to make area rugs. Seagrass (also spelled sea grass, with a space) comes from a tall plant found in wetlands areas. It has grass-like stems and is a durable material for rugs. Seagrass is known for its non-porous surface that gives it a naturally smooth texture. It has a hay-like smell and color, both of which will fade over time. Nylon, another of the synthetic rug materials, is widely used in rug making. Nylon rugs have great characteristics such as uniformity and strength as well as stain and soil resistance. Nylon area rugs come in an unlimited variety of colors and they can be easily cleaned. The resilient nature of nylon rigs makes them a good choice for placing under furniture and for areas of heavy traffic. The cost of a nylon rug is usually less than that of rugs made from natural materials. However, nylon rugs do not hold their value as well as a quality wool or silk area rug. As you can see, there are numerous materials to choose from with different pros and cons. If you feel a bit overwhelmed after reading that, please do not hesitate to call our rug experts at 847-859-5459. We’ll guide you thru the process. If your rug is very thin or delicate, you probably shouldn’t dust it yourself. In fact, the looser the weave in the rug, the less dirt and grit will stay in the rug. The thicker the weave, the more particulates it can hold – up to 1 pound per square foot! This is a short and sweet tip, but nonetheless an important consideration in buying a rug. However, if you’d like to talk about the thickness of a rug in more details, feel free to call Koeckritz Rugs at (847) 859-5459 and an expert will be more than happy to speak with you. Carpet dealers at most specialty rug stores will show you a range of rugs styles at various price points. Choosing a wool/polyester blend over silk or even wool will mitigate costs without sabotaging style. Or consider a machine-made rug while you save up for that hand-woven masterpiece. Luxury rugs are designed to last a lifetime. Before handing over your credit card, take a rug home on approval to ensure you love your choice, the coloring is correct, etc. No Party Fouls Here! 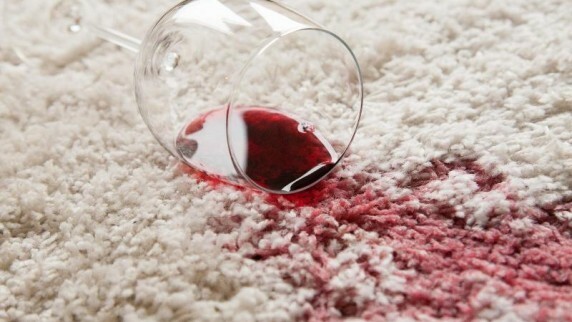 How to clean up wine spills and other mess on carpets and area rugs. How to Clean Wine Spills and Mess for Carpets and Area Rugs. It’s that time of year for celebration! So Celebrate responsibility! Clean wine spills and other mess with these tips and tricks. Wine Spills: The First Response. Then take a clean cloth of paper towel and dab/blot the spill. 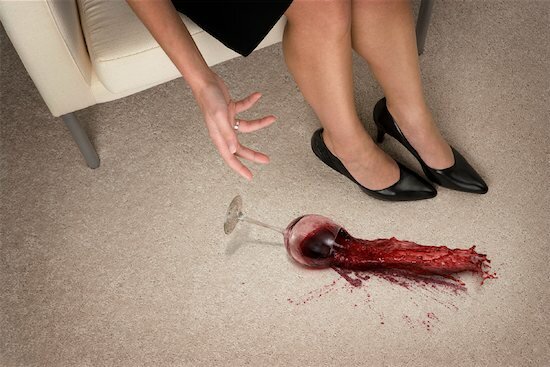 Get the excess wine up and out of the carpet or clothing fibers ASAP. Once you have the majority of the spill blotted up, use these methods below! To begin, you can take your favorite carpet shampoo and clean as you would if the wine stain were a bit of dirt on the carpet or rug. Depending on what you have on hand, you can remove a wine stain based on what you have available. An arsenal of everyday red wine stain removers includes hydrogen peroxide, baking soda, soda ash, vinegar, club soda, salt, white wine and Scotchgard’s Oxy Carpet Cleaner. -When red wine hits a white shirt, tablecloth or light colored carpet, try to blot up as much of the wine as possible and then spray hydrogen peroxide on the stain, followed by a hefty sprinkle of baking soda. -Make sure that the peroxide and soda fully cover the stained area and let it sit for 2-3 minutes. Then rinse with water. This method and the product, “Wine Away” are my go to for quickly and completely removing red wine stains. White Wine for Red Wine Stains?? -Yes! When red wine is spilled onto your carpet or clothes, white wine can be your best friend. 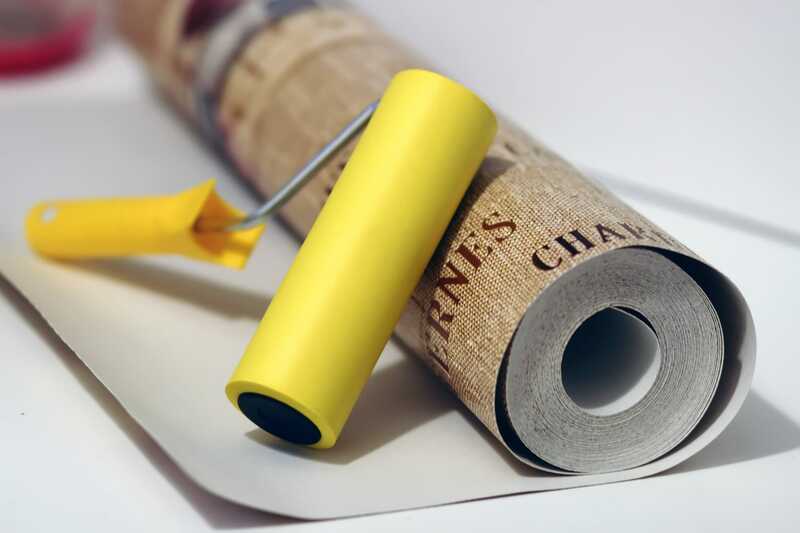 White wine will help neutralize red wine and will make it easier to lift the color off of carpet. Simply pour white wine over the stained area and very gently blot the liquid up with a thick clean towel. Careful not to rub as this will force the stain into the carpet fibers. If the stain is still visible… you can add salt or soda to continue lifting out pigment. -Club soda can be poured on the stain. The carbonation will help to lift the stain from the carpet fibers while the salt acts as a buffer. This keeps the stain from setting in. -Vinegar does a nice job of neutralizing the purple pigments. It can be combined with the stain-fighting force of either laundry soap (dye free is best) or soda. Apply laundry soap or washing soda directly over the vinegar and give it a few minutes to soak in, then rinse and wash with a clean towel. -Scotchgard’s Oxy Carpet Cleaner works well. It lifts stains and provides a stain protector to the area of the carpet it was used to clean. It is available at places like Target or Walmart for around $6. Salt can be poured on the spill to keep the wine from setting. You can then figure out which method of clean up you would like to go with. No party fouls here with these tips and tricks! Like and Share. You know you want to gift something that lends opulence and luxury to any space, but you might not be sure which rug is best for the person you have in mind. You don’t want to spoil the surprise, but you want to purchase one the recipient is sure to love. Luckily, you can gift the perfect rug by answering a few simple questions. What Type of Personality Does the Recipient Have? Rugs can be highly expressive of the owner’s tastes and personality. For example, a custom cut rug in a bold color and plush material can speak volumes about the owner’s style. It’s important to get a rug that matches the recipient’s personality. The perfect rug can match traditional, modern, country, eco-friendly, or luxury décor. Ask yourself what type of personality the recipient has, and start your search from there. Have a specific room in mind when you rug shop for someone else. That way, you can decide on the color, size, and style of the rug accordingly and know for sure it will be the perfect fit. Next time you’re at the person’s home, look around for a space that a rug would improve. Rugs look great anywhere, but a few common places are beneath furniture, on stairs, next to sinks, and covering outdoor spaces. Take note of the color scheme and décor of the room, and think about a rug style that would complement the space. Take measurements if possible, and shop away! Do You Need a Versatile Rug for Anywhere? If you’re not exactly sure what type of rug the person would love, go with a rug that will improve any room. Perform a search for monochromatic background colors and mild, small-scale designs that won’t overwhelm picky recipients. Maximize versatility with a medium-sized rug. Make sure to only purchase from a company that has a return policy, just in case your gift recipient needs to return or swap the rug for a different style or size. You might see dollar signs when you think of purchasing a new rug, but there are thousands of rug styles that fit virtually any holiday shopping budget. The person who receives the rug will think you spent a lot, when in reality you bargain shopped for a small, high-quality rug at KoeckritzRugs.com! Affordable rugs are thoughtful and long-lasting gifts that people will treasure for years to come. It’s the perfect gift for anyone this season. Sports-themed rugs are great unique gifts for sports lovers in your family or circle of friends. They’re small and affordable, with a variety of favorite team logos and colors available at Koeckritz Rugs, Inc.
A sports rug is a great gift for hard-to-shop-for men. They’re functional, durable, and stylish – a gift the sports lover in your life will truly appreciate. Choose from 4 different rug styles for each team! Know someone who’s eco-friendly? This year, impress him or her with a beautiful braided jute rug in color schemes that fit in anywhere. Koeckritz Rugs, Inc. has small to medium braided rugs suitable for any budget, with fun and attractive designs. Find braided rugs that feature fish, deer, bear, and moose for a nature-loving friend, or a simpler pattern that will complement existing décor. Virtually anyone with a hardwood staircase could use a set of stylish, safe, and functional stair treads. Stair treads are a safety must, especially for households that include the elderly or pets. Stair treads can add flair to any staircase, as well as an element of safety when they come custom-cut with treads that reduce slippage and increase traction. Circle seat rugs in fun, bright colors are ideal gifts for kids’ rooms, creative spaces, or classrooms. They are available in a wide range of sizes and colors at Koeckritz Rugs, Inc. at prices that start at just $35. Purchase individual rugs, mix and match colors, or get a bargain when you buy sets of six. It may be the season for giving, but who said that doesn’t include giving a little something to yourself? Spread the holiday cheer around your own home by buying yourself a beautiful new area rug. Koeckritz Rugs has options for every style and budget, from luxury collections to small outdoor rugs. Rugs are excellent, long-lasting investments that can be just what you need in the midst of holiday shopping, baking, and decorating. Home insulation. Covering your floors with area rugs can improve the comfort of your home during cold winter months. Rugs provide extra insulation and keep your toes warm while you walk around. Thick wool rugs are ideal for insulating cold rooms. Noise reduction. If you live in a home with high ceilings with irritating echoes, investing in a rug can help. Rugs are especially important in apartment complexes, where downstairs neighbors will appreciate the noise reduction when you have holiday guests. Add timeless style. Area rugs are accent pieces your home simply can’t go without. Rugs fill out and finish off a room, adding a touch of style and sophistication. There has to be at least one room in your house that would look better with a new rug! Shopping for a new area rug for your home or apartment can be a fun and rewarding way to break up the holiday stress this year. Treat yourself to a new rug this holiday season and enjoy great limited-time sales at Koeckritz Rugs, Inc. Which Rug Reflects Your Style and Personality? A rug can be one of the most important elements of a room; they soften sounds, provide comfort, and enhance interior designs. 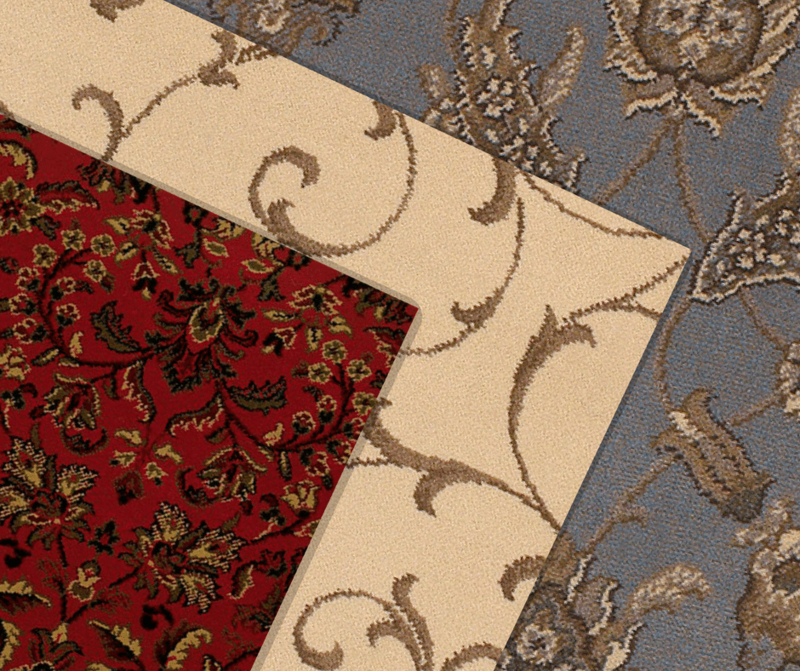 When you look at area rug choices, you may wonder which one best fits your style. Should you choose one that’s traditional or contemporary? Will a Navajo, Persian, or Tibetan rug go best with your décor? Here are some of the most popular rug types explained. 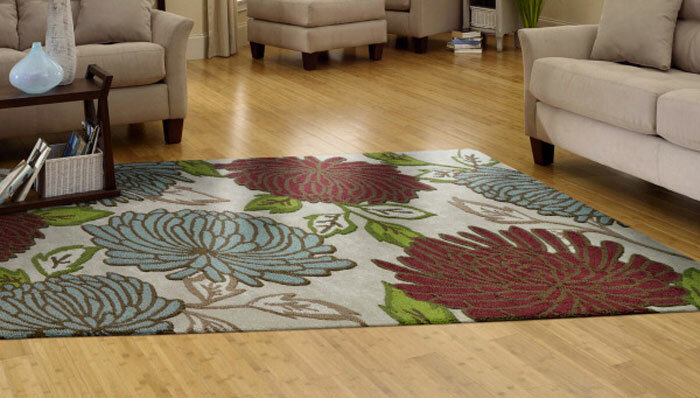 This type of rug features flowers and vines, medallions, and ornate borders. The very first ones came from Persia and lend an elegant, classic look wherever they’re used. Use them to separate formal seating and dining areas. Vintage rugs are extremely trendy whether you are designing a traditional space or a laid-back family room. They are available in patterns like those found on traditional rugs, but have the worn and faded look of an antique. These rugs are made from materials such as sea grass or jute. They’re durable and have complex woven textures that add visual interest. Choose them when you want to create a casual feel. These fluffy, shaggy rugs have thick fibers that kept Moroccan mountain dwellers warm during the coldest months. Their softness adds a luxurious feel to bedrooms and looks inviting next to the fireplace. Traditionally, Tibetan rugs come from highland sheep’s wool. They use a knotting method that is different from any other wool weaving. They come in many different types of designs that range from floral prints to tiger stripes. These rugs are textiles often woven by the Navajo people of the four corners. They feature bright colors including red, green, yellow, and black woven into angular patterns. Contemporary rugs come in popular patterns like chevron or trellis. They are less formal than traditional rugs and are often easy-maintenance for busy families. Koeckritz Rugs, Inc., provides pre-made rugs from area manufacturers and custom-cut rugs for every taste. Whether you’re looking for a faux animal print, a sports team logo. or chic modern shag, contact us today. Color is tied to emotion. When parents decorate a child’s room, they may design around a popular theme or character without realizing the impact a color rug has on childhood behavior. When choosing a rug for nurseries, playrooms, and bedrooms, parents should take the impact of color into consideration. Here are some colors that energize and excite along with hues that relax and soothe. 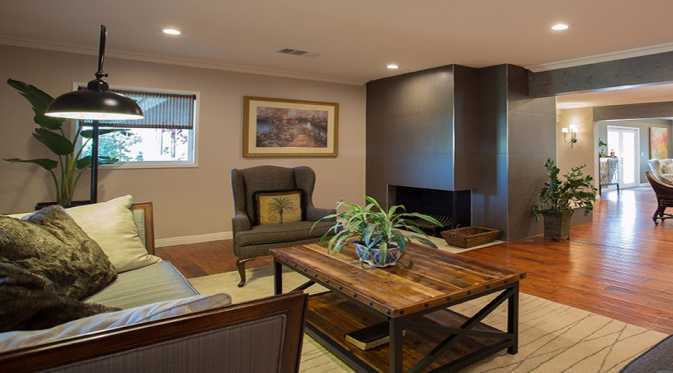 For most people, warm colors create feelings of security as they visually warm cold spaces. They can also have an energizing effect. Here’s a breakdown of each hue’s impact on mood and behavior. Red – Energizes the body and mind. It stimulates breathing and heart rate, and in some cases, it can increase aggression. Use red as an accent color but avoid it as a whole room choice when areas are used for sleeping or study. Orange – This friendly color boosts confidence and communication, making it an excellent choice for siblings who share a room. An orange rug incorporates the color without making it too overwhelming. Yellow – Cheerfulness results whenever this sunny color is used. Pale yellow helps children concentrate. Consider a soft yellow rug in the reading corner of a room. Cool blues and greens make children feel calm and relaxed, but they can also worsen feelings of sadness or depression. Here are some things to consider when decorating a child’s room with cooler hues. Blue – This color lowers anxiety, aggression, and blood pressure. 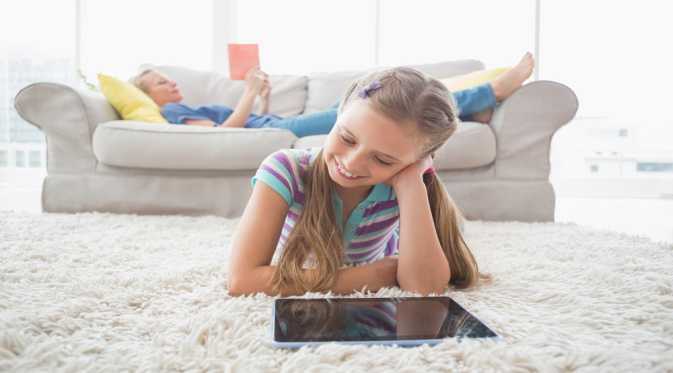 If your child has a hard time reining in his or her temper, a blue rug might offer a soothing place to cool off. Green – Don’t hesitate to use green in any environment. This color improves reading comprehension and creates a feeling of positive well-being. Koeckritz Rugs, Inc., has rugs in every shape, style, and color. Check out our children’s rugs today. When viewers look at interior designs that incorporate rugs, most concepts involve a rectangular or square rug. Although these styles are commonplace, many buyers think the shape won’t work with existing furniture or rectangular rooms. Round rugs provide a variety of options and choosing the best one to complement an existing design or layout may be overwhelming for first-time buyers. If you fall in love with a round rug, take it home. Here’s how to choose the perfect rug for the perfect space. When you choose a rectangular rug, always find one large enough that it touches at least one piece of furniture in the room. The same rule applies to round rugs. Curved edges soften furniture groupings and angular spaces, but only if they can curve gracefully underneath some of your pieces. Use round rugs to unify a room. Place one curve under the sofa and let it circle around adjacent pieces like a warm embrace. Another option is separating one area from another by using a small rug for a grouping. Round rugs work well under circular dining tables and round coffee tables. They also help emphasize curves in statement pieces. Make sure that a rug being used under a dining room table is large enough to fit all your chairs, or you won’t get the effect you were seeking. If you have a small, cramped space that’s distinctly angular, add a round rug. Hallways and entries don’t provide space for much décor, but a small round rug can add color and soften corners. If you don’t have space for an entire round rug, half-moon rugs embellish even the smallest spaces. Koeckritz Rugs, Inc., specializes in custom area rugs that come in any size and shape. Check out our luxury collection today. When the temperature drops, warm colors inside make rooms feel cozy and festive. Did you know you can place a seasonal area rug in most rooms to brighten the mood? Most of our seasonal area rug includes a variety of colors. Adding accessories like fall foliage and throw pillows can bring out autumn hues in a rug so they seem more prominent. Here are our favorite ways to use rugs in autumn décor. Use a half-circle or rectangular rug in fall colors to anchor a seasonal display. Pile heirloom or traditional pumpkins on either side or flank your rug with pots of mums. Hang a fall wreath in the same colors on your door to invite visitors in. There’s nothing cozier than the first fire of fall. Whether your fireplace is wood-burning or gas, encourage relaxing by the fire with a fire-resistant hearth rug. This is a great place to bring in fall colors, since you’ll use your fireplace during the colder weather months. Go all out with a seasonal themed rug you’ll enjoy year after year. If your seating area is formal, choose a simple pattern in red, gold, and earth tones. For a more playful feel, opt for rugs woven with fall foliage patterns or a pumpkin motif. Small vases filled with fall flowers add seasonal flair. Sunflowers and alstroemeria last for more than a week if you change their water every two or three days. If a room-sized rug isn’t in the budget, place a smaller area rug in entry areas or under small furniture groupings. In your dining room, emphasize fall colors by adding pumpkin-hued candles and centerpieces with harvest vegetables. Koeckritz Rugs, Inc., has rugs to enhance your home every season of the year. Find out how to get 15 percent off your rug order today. Carpet treads minimize slipping and increase traction. Great for pets and pet owners! They help extend the life of your high traffic hardwood stairs. We will show you how easy it is to install them in your home. 1) First prep the area. Clean all of the stairs with a clean damp cloth. Wait for the surface to dry. 2) Once the surface is dry, place the stair tread on the step with the back facing upwards. Then use the top of the step as a guide to cut the double sided tape to size. The tape should be near the short end of the carpet tread. About a 1/2 inch. 3) Once the carpet tape is cut, place the tape near the long edge of the tread. About 1/2 inch away from the long edge. 4) Repeat this on the opposite side of the stair tread. Press down on carpet tape to better secure. 5) Once the tape is secured peel the film from the tape. 6) lip the carpet tread over a gently, set the carpet tread on the step. Do not press down yet. Use a measuring tape to help center the tread. Measure between 0.5 -1 inch away from the front edge of the step. Remeasure to make sure tread is centered before securing. Flip the tread over. 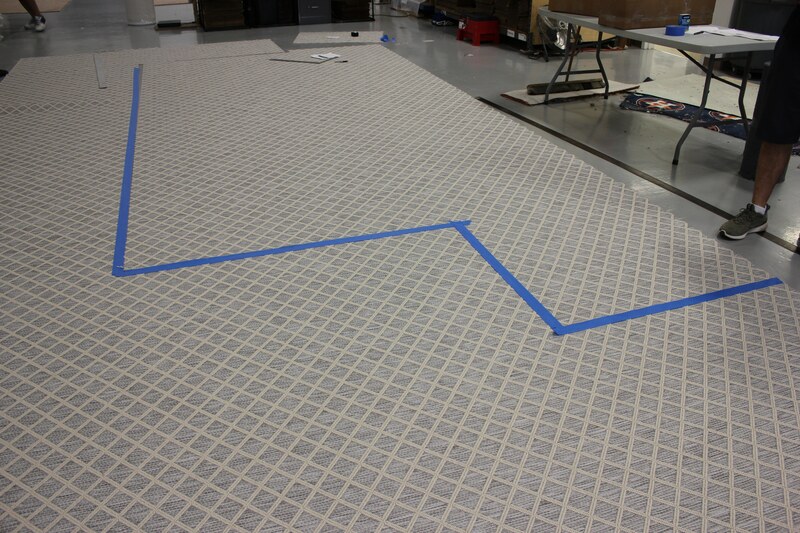 Press along the long side when the tape was placed to secure the carpet tread. 7) Repeat the process until you have attached all of your custom stair treads. If you enjoyed this tutorial, Like us and follow us on Facebook, Instagram and Twitter. For more information on ready-made and customized stair treads visit our non slip tread stair page. Brides are adding beauty and style to their walk down the aisle by utilizing rugs an important part of their outdoor wedding decorations. The trend is becoming more popular, and it looks as if it’s here to stay. How can you choose a rug that matches your wedding’s personal style and flair? 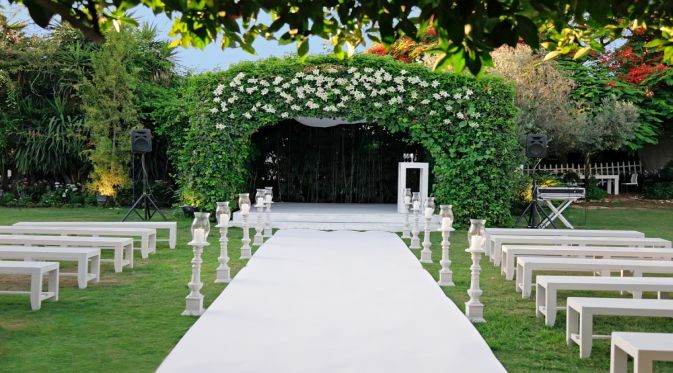 The nice thing about outdoor nuptials is that little decoration is required – simply let nature speak for itself. While you might not have to worry about floral arrangements, an outdoor rug can bring an inexpensive and stylish pop of color. Consider an earthy tone to complement a fall backdrop, or a deep red to contrast with a wintry scene. The days of decorating the aisles with lace and white roses are over – consider a chic and stylish aisle runner instead. A mid-century modern aisle runner will give your wedding a classic, elegant feel. Choose a single runner, or consider stacking rugs of different shapes and sizes to create visual interest. Today’s weddings are more relaxed and focused on creating a pleasant experience for guests. Create a sitting area for your guests – think vintage couches and dark wood cocktail tables. A plush rug will pull together all these elements and serve not only as a place for your guests to have a good conversation, but as a conversation piece itself. Remember, it’s your wedding. Choose a rug that matches your personal style and unique flair. The best thing about using a rug in your ceremony is that it’s a decoration you’ll reuse for years to come. Each time you look down at your wedding rug, you’ll be reminded of your special day. That’s reason enough to consider adding a rug to your outdoor wedding. An outdoor rug may be built to last, but they endure more wear and tear than most. Inclement weather, heavy foot traffic, and time can all take their toll. Fortunately, there are a few ways to protect your outdoor rug looking as fresh as the day you bought it. This may seem like an obvious tip, but some people take the “all seasons” label on a rug at face value. If you’re not going to be using your rug for weeks or months at a time, roll it up and keep it in storage. Cover it with a plastic tarp and hold it together with bungee cords. In the spring, you can roll it out looking fresh and vibrant. Outdoor rugs take on heavy foot traffic, torrential rainfall, and more than their fair share of dirt. Protect your investment by cleaning your outdoor rug monthly. Take this easy DIY approach: make a solution of mild dish soap and water, lightly scrubbing with a nylon brush. After scrubbing, rinse with a hose and let dry. If you’re hosting parties and run into a spill with wine or a tomato-based product like ketchup, clean it right away. Start by blotting the stain with a clean cloth, removing excess moisture. Next, use club soda to neutralize the acid in the spill and prevent permanent staining. This may seem like a tall order, but the sun’s rays can be damaging to vibrant colors and fabrics. Consider placing your rug in the shade or under a patio umbrella to prevent sunwashing. An exception to this rule is after cleaning – you’ll want to dry your rug in the sun to prevent mold growth. Your outdoor rug is an investment. Protect your outdoor rug this season and in the years to come with these simple yet effective tips. Small living spaces can pose a challenge to homeowners when they are trying to decide furniture placement within a room. While you want to make the most of your home’s available space, you also don’t want it to appear cluttered or crowded. Fortunately, you can make the most of your small spaces using an area rug and these simple tips. Built-in shelving is one of the easiest ways to maximize your available space. These investment pieces are ideal because they allow you to create storage and other solutions in an otherwise challenging space. If you’re constrained by your budget, this doesn’t have to be expensive – for example, consider an artful display of shelves to hold books, media, and more. This is also a good time to consider furniture that serves different functions – for example, a sitting room can easily double as a guest room with the addition of a sofa bed. One of the easiest ways to make a room appear more spacious is to let in natural light. Sunshine is a simple and effective way to create a feeling of openness. To achieve this with little effort, hang a mirror where it will reflect natural light from the window. It also works to create the optical illusion of more space. If you want to make your small space appear larger, look to this surprising space: the floor. Adding an area rug that goes beyond your furniture perimeter actually creates the illusion of more space because it draws a visitor’s eyes to the outside of the room. They also serve different purposes in different rooms – for example, it adds visual texture to a sitting room, can function as a statement piece in a small bedroom or living area, or brightens up a patio. You don’t have to settle for small. A few simple tricks can help you maximize space and turn it into a room you love. We may be in midst of the summer swelter, but there’s no reason you can’t throw a party outdoors. Beat the summer heat with our cool outdoor summer party décor ideas – we guarantee your friends will be talking about it long after it’s over! First, take care of the practical considerations. How many guests will you have? Where will they sit? Create zones for cooking, eating, socializing, and outdoor games. This will help guide your decisions regarding décor. For example, a beautiful rug can pull together mismatched outdoor furniture and create a chic, intimate conversation area perfect to fit in with your other summer party decor. If you plan on your party lingering into the night, don’t forget the citronella candles or torches. They can create a festive mood while providing bug protection. Floral arrangements bring life to a tablescape and make for a beautiful conversation piece. To save money on yours, pluck some blooms from your own garden and display them in a pretty vase or watering can. There’s no need to go overboard – mother nature provides much of the natural beauty to your outdoor arrangement. Save yourself time doing dishes and opt for colorful, disposable tableware and flatware. Buy plenty extra and store them in caddies on the food table. When guests inevitably drop their knives or spoons, they’ll know where to find more. Choose two or three colors, and mix and match patterns and shades for an eclectic look. 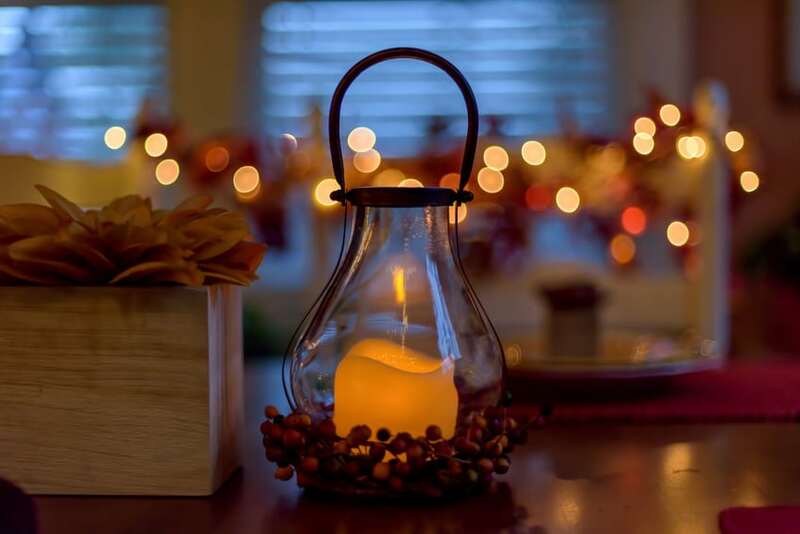 Use a mix of candles, paper lanterns, and twinkly lights to create a fun atmosphere for your guests once the sun goes down. Consider adding solar lamps to light the entrance to your house for your guests. An outdoor party is more casual and shouldn’t be stressful. Have fun with decorating, and your guests will love it as much as you do. Take a look at your current outdoor setup. Is it a place for people to gather around and eat a multiple course dinner? Or is it full of comfy lounges and chairs? 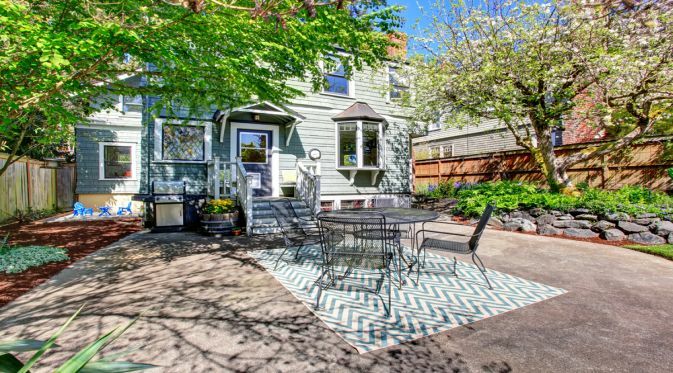 If it’s the former, consider placing a rug directly under your outdoor dining area. If it’s the latter, a large area rug to center all your outdoor furniture will create a conversation piece. 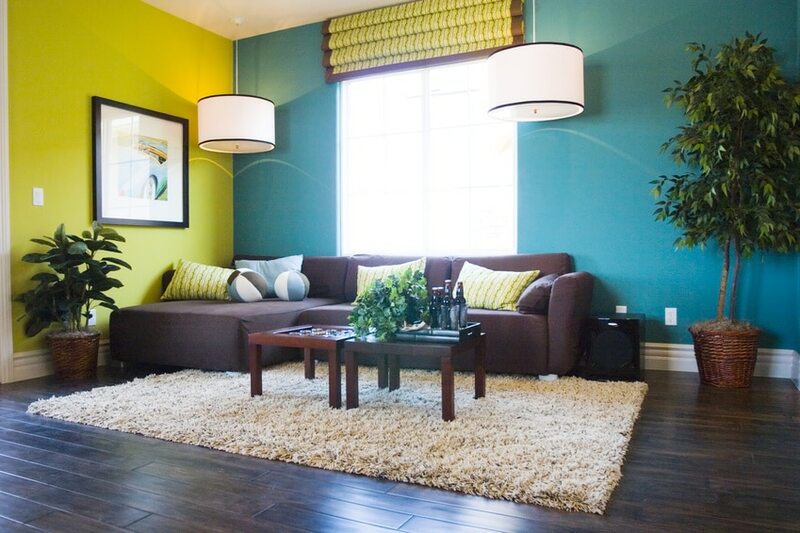 Do you love the look of a bold hue but have always been afraid of using bright colors indoors? A sunny outdoor setting provides the perfect venue to experiment with different colors. An abstract pattern plays well with neutral outdoor dining furniture, while bright solid hues or alternating brights and whites adds a preppy flair. If you’re working with limited space, an assortment of rugs with similar patterns can help create designated areas for eating, drinking, and conversation. The right rugs create effective “zones” that make even the smallest of spaces seem warm, inviting, and large enough to accommodate a crowd. Mix and match to create an eclectic look, or keep it all in the same color family to evoke a minimalist feel. Your outdoor living space is a reflection of your personal style, and a rug helps bring it all together. No matter your style or price point, there’s a rug out there that will perfectly capture your chosen outdoor mood. Which will you choose this summer season? Are you a teacher? Librarian? Maybe a babysitter watching several children? Then we have a product for you! Our child circle seat is a great addition to any playroom, classroom, library, or home. Circle seats are a standard broadloom carpet turned into wonderful, fun & colorful round rug seat. They are perfect for sitting on indoor and outdoor in the grass or on a bench. Each one is hand cut and edges are sewn with a fabric tape to prevent fraying in the U.S.
All rugs are 18″ in diameter. They’re available in many fun, vibrant colors, and offer various uses to parents and caregivers. They can be used in games and activities for your children, but you can also use them as a learning tool. Not only are they useful as a visual cue and an easy way to give every child his or her space in classroom settings, but you can use them to help your kids stay organized. Mom’s and Dad’s love ’em. So do Aunts and Uncles, Grandparents, School Teachers, Preschools, Schools, Kindergartens, Daycare’s, Bible Studies, Churches, Jewish Day Schools, Boys and Girls Clubs, Camps and much more. You can use children’s circle seats as spots for the kids’ toys. This is a fun way to encourage your children when it is time to clean up the playroom or participate in a different activity. They’ll be excited to clean up if they see it as a game. In a daycare or school setting, having the children each have a designated carpet circle will help you keep the room orderly, and they’ll enjoy having special spots of their own. At home, children’s circle seats are great for movie time, play time, or any time they need a spot to relax and play comfortably. Children’s circle seats are easily storable, so you can use them for a clean-up game at the end of the day, and then tuck them under the bed until tomorrow. You can purchase several children’s circle seats in different colors and help your child organize his or her toys. Repetition helps children’s memories develop, so show your child each toy’s spot and they’ll quickly catch on to which toys belong on which colors. Every parent knows that keeping kids’ things organized each day is a tall order, but children’s circle seats offer several solutions. Regardless of whether you’ll use them in a classroom or at home, children’s circle seats are comfortable, versatile, and you can find them in colors to fit every décor. To find out more, please visit our circle seat page. Hardwood stairs can easily pose problems to people with various health concerns, or anyone who has difficulty ascending stairs. Additionally, hardwood can be a slip and fall hazard for people of any age. If humans can have trouble with slippery hardwood steps, your pets certainly can, as well. Pets of any size may have trouble getting proper traction to go up and down hardwood steps, but small pets and aging pets in particular are probably going to need a helping hand. One simple solution is to install pet assist stair treads for extra traction. What are Pet Assist Stair Treads? Stair treads are small sections of carpet designed to fit on every step in a staircase. Skid-resistant stair treads hold their grip firmly to the hardwood without damaging it. Although stair treads with rubber backing won’t slip easily, you can add double-sided tape for extra security. You can find stair treads for your outdoor stairs, as well. Many pets have to climb up and down stairs when entering or leaving their homes, and outdoor carpet stair treads help them find more secure footing. Additionally, outdoor varieties typically stand up to severe weather for quite some time. 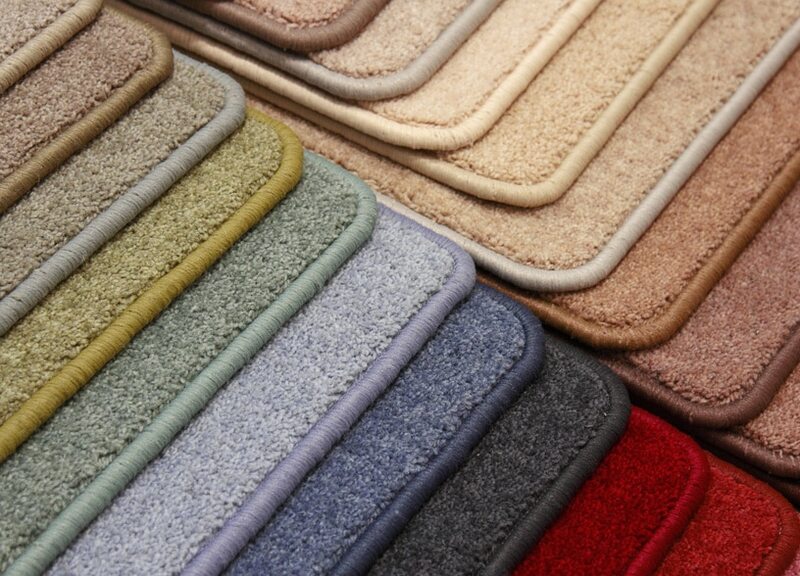 Carpet stair treads are helpful to humans because they supply traction as a person goes up and down the steps. When ascending or descending on bare hardwood, people wearing socks or slippery shoes risk losing their footing, and a fall onto or down hardwood stairs is rarely a pleasant experience. For pets with long hair who often slip on smooth surfaces, stair treads allow them to traverse the stairs with confidence and prevent injury. Even the most playful, energetic pets will eventually slow down and need help from time to time, and stair treads can help your pets feel more comfortable in their homes. 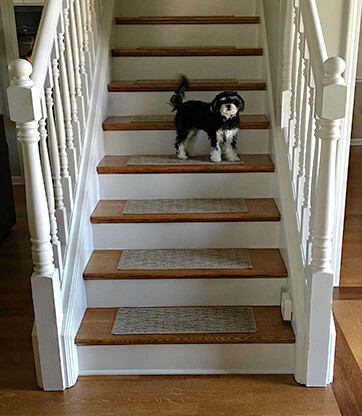 Thanks to the versatility of carpet stair treads, you can easily add extra traction for your furry friends on any kind of staircase, indoors or outdoors. Interior design trends change all the time, but everyone has their own ideas about how they want their homes to look inside. Choosing the right area rug for your budget and your design scheme can be a stressful venture. The sheer number of choices can seem daunting. 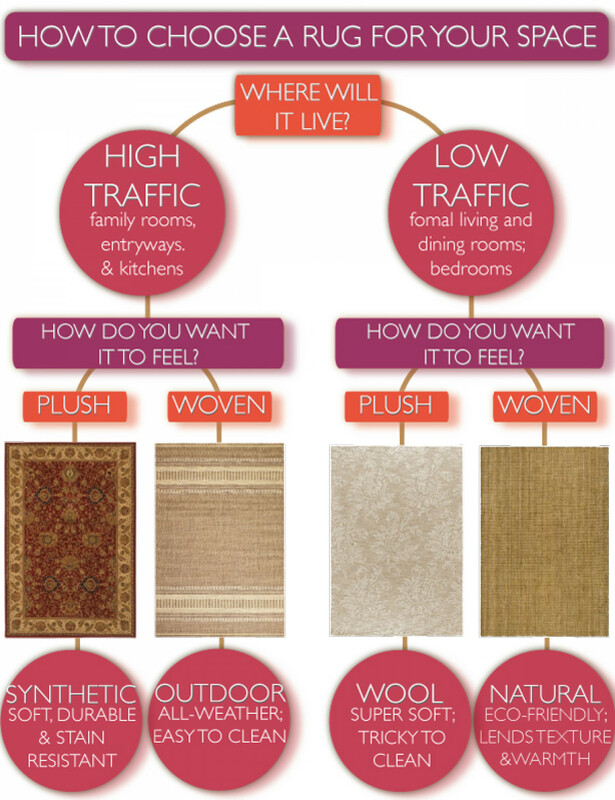 When it comes time to choose a rug for your home, think about the following factors to find the right one for you. How large a space do you intend to cover with the rug? Consider how large a rug you want, and this will help you narrow down your choices. Of course, you’re going to have to consider the rug’s placement while shopping. You probably have a specific spot in mind if you’re shopping for a rug, but think about other places you could put it. One of the best aspects of area rugs is you can easily move them around, so think about how you may rearrange things in the future and find one that fits in several places. Next, you’re going to have to consider the rug’s shape. Rugs come in various shapes, and you want one that is going to flow well with the other design elements of the room in which you place it. 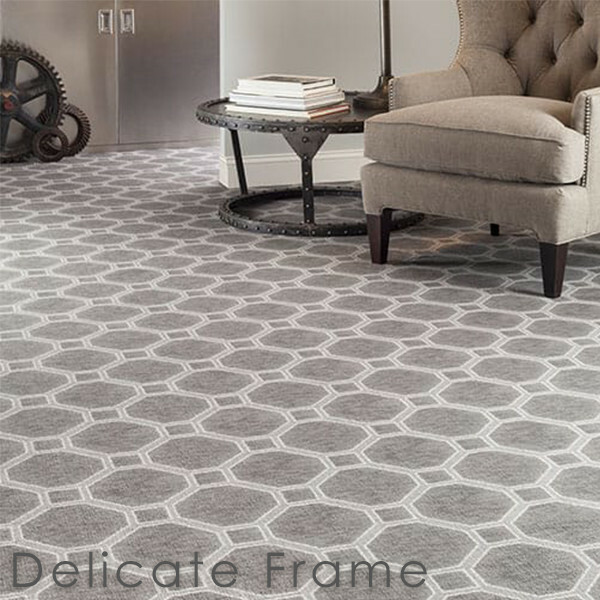 For example, a quadrilateral carpet may not look as appealing surrounded by more organic shapes. Consider the placement and how you intend to use it, then think about which shape will fit the room best. Of course, you want a beautiful rug that will match your décor and work in the spot you’ve chosen for it. Rugs are available in countless patterns, prints, and solid colors. There’s no “best answer” for this part, so go with whatever feels best to you out of the shapes and sizes you’ve chosen. You’re going to have to decide how you want your rug to feel. If you’re planning on placing it somewhere in your home that will see lots of foot traffic, it may be best to buy a rug with a very low profile. Higher profile, plushier rugs are going to be more susceptible to pressure trails over time from repeated traffic. However, highly textured rugs can offer pleasing effects when used in less-traveled parts of your home. Once you start visualizing the finished space you want to make in your home, deciding on the right rug will be a snap. Take your time and shop around until you’ve determined a few possibilities before deciding, and you’re sure to be pleased with the results. If you have spent countless hours maintaining and working on your garden, you should find the best way to relax and enjoy the space. While you can create stunning effects with your choice of plants, pottery, lighting, furniture, decorations, and structures like gazebos and awnings, have you considered how an outdoor rug may enhance your garden spaces? Wisely utilizing a rug in your garden space can create an oasis in your backyard. While outdoor rugs are amazing as design elements, did you consider the ways you could put your old rugs and carpet to use outside? A small section of rug or carpet can provide support and padding for your knees when gardening in low places. You can recycle old carpeting in several ways for your garden, such as an underlayment for gravel or to line a new pond. One of the perks of using old carpet under gravel and similar spaces is that while it will prevent weeds from protruding out of your gravel, it will still allow water to drain, so you don’t have to worry about flooding. Old carpet and rugs made of 100% natural fibers like cotton, jute, or wool are biodegradable, so while they’ll last quite a long time, you won’t have to worry about them harming the environment. Many people like to use their flowerbeds as part of their outdoor sitting areas, and choosing a rug that matches the color of your favorite flowers can create dramatic effects. With the right lighting and furniture, you can create truly memorable outdoor spaces in your garden. Take some time to think about what type of outdoor rug would match perfectly with the flowers, plants, furniture, and other elements of your backyard design. Outdoor rugs are durable, versatile, and fit just about any layout or design scheme. Once you find the right outdoor rug you can enjoy the added comfort and more complete aesthetic of your garden space. Most Americans’ summer months are packed with fun events with friends and family. While you’ve probably already sorted out the pool toys and the grill, have you considered what an outdoor rug could do for your summertime fun spaces? As you plan your next summer party, think of the activities you have planned and consider how an outdoor rug may be valuable. Finding places to sit and relax in the backyard can sometimes be challenging during summer parties. Chairs may be limited, and not everyone enjoys sitting on the grass. 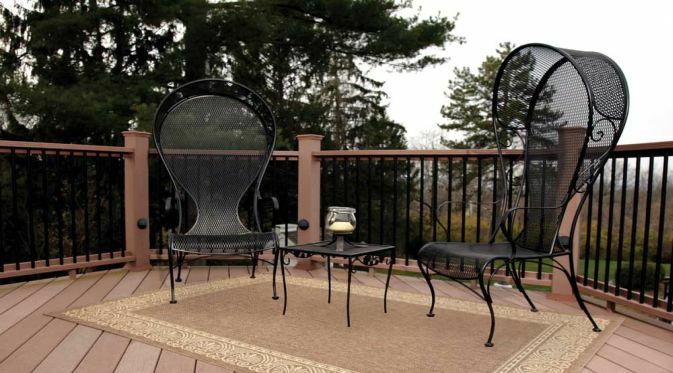 Outdoor area rugs provide comfortable, versatile seating. You can even use them for special occasions, like outside movie nights with the kids and their friends. During summer barbecues, outdoor rugs offer comfortable footing for your guests. If you have a gazebo or pavilion, an area rug underneath can help make the atmosphere more comfortable for enjoying outdoor meals. Outdoor rugs are great for special occasions like weddings, graduation parties, and July 4th cookouts. You may not be too keen on the idea of keeping a nice rug outdoors for an extended time, but they can add temporary flair and comfort for your summertime occasions. They also help you with clean up after the event. Instead of cleaning dropped food and spilled drinks off of your outdoor flooring or deck, simply roll up the carpet and clean that, instead. For important events like weddings, outdoor rugs and a carpet for the aisle can help tie the décor from the rest of the ceremony together in stunning ways. Outdoor spaces of the home are comfortable and open but still familiar and intimate, and the right outdoor rug can help create the perfect atmosphere for your most memorable summertime occasions. How you use your outdoor rugs is up to you. They are incredibly versatile, so the next time you’re wondering how to add a finishing touch to your event decorations or how you can get additional seating for your kid’s next birthday party, consider what outdoor rugs can do for you. To place your order today, visit the Koeckritz Rugs shop. Are you looking for custom carpet and rugs for your home? If so, you’ve come to the right place! 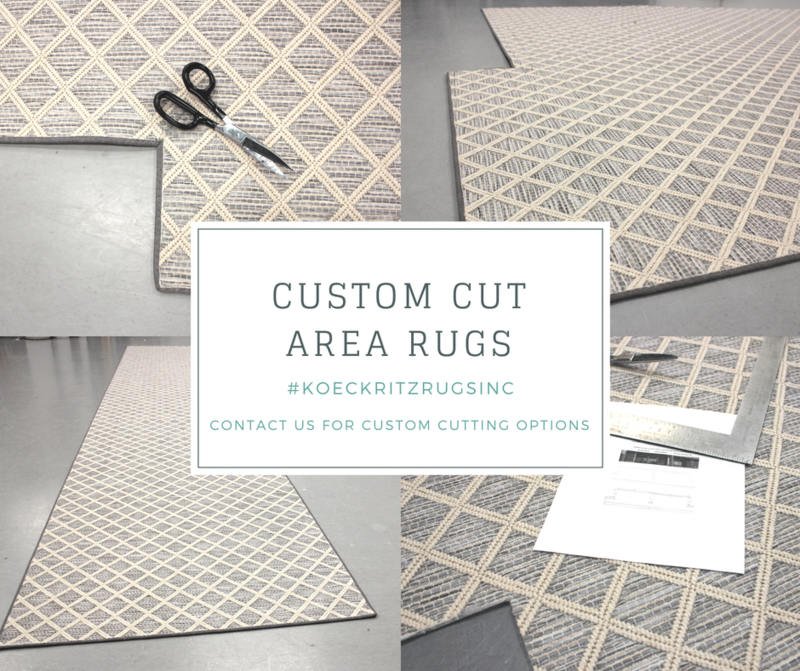 Koeckritz Rugs, a manufacturer of custom rugs, has been in the flooring business for several years and has vast experience in both retail, commercial and residential applications. Customers are our core focus, so you are guaranteed to receive the product you want in the time you want it. We make ordering your custom carpet or rug an easy process. You will choose the size, color, and material of the product to create your perfect carpet or rug. From beginning to end, we will be there to answer any questions or concerns you may have. Koeckritz Rugs is frequently recommended when a customer is looking to buy an area rug in a specified size, design, and color as there is a large variety available. We have dozens of styles, colors, and materials on-site to choose from. To begin your custom rug or carpet order, please visit our custom carpet webpage or call us at (847) 859-5459.